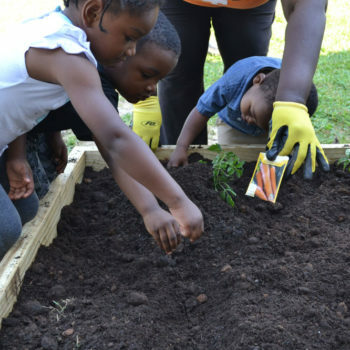 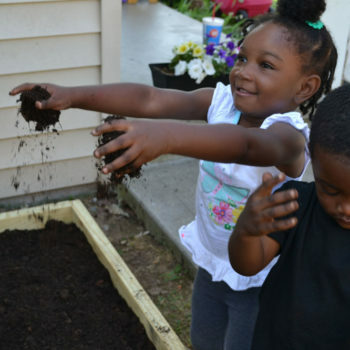 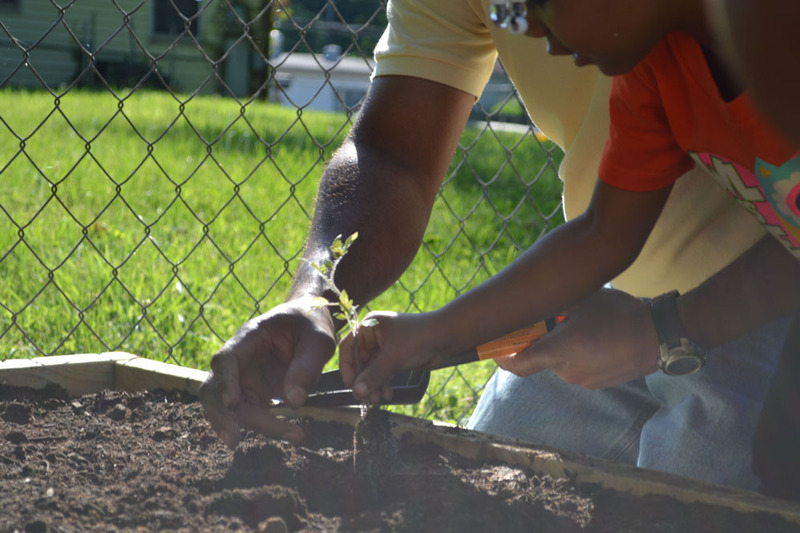 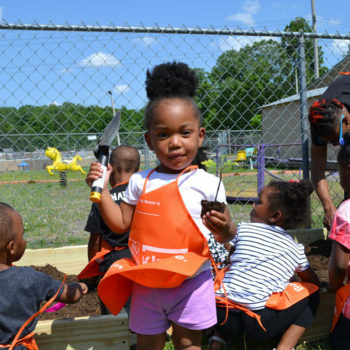 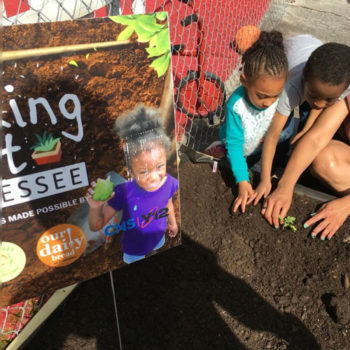 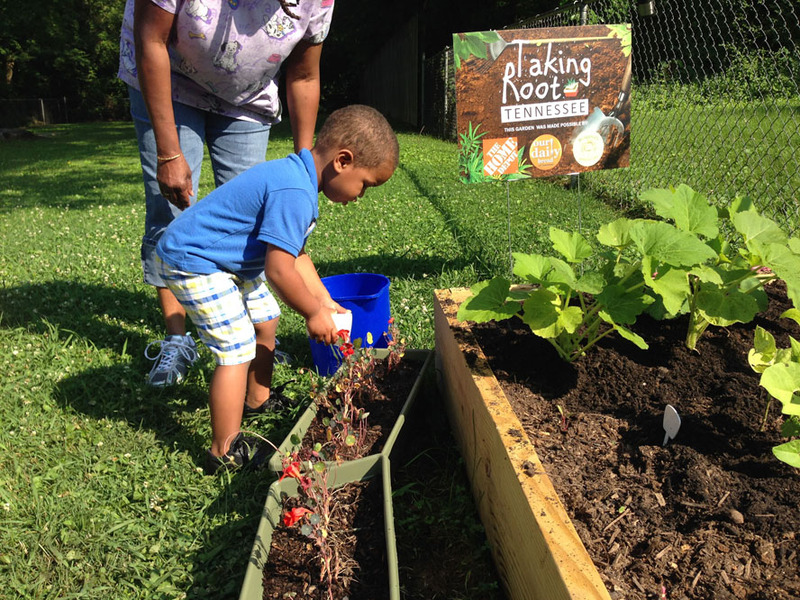 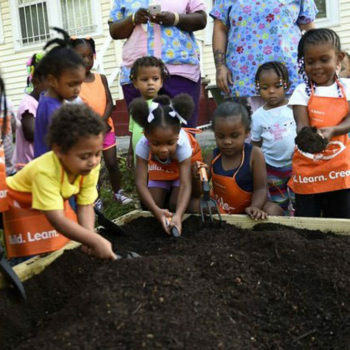 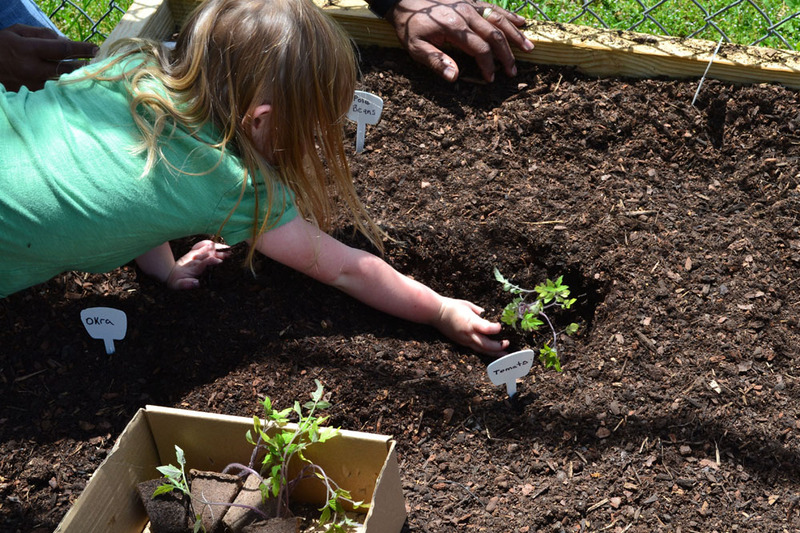 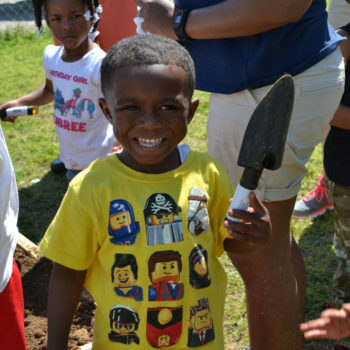 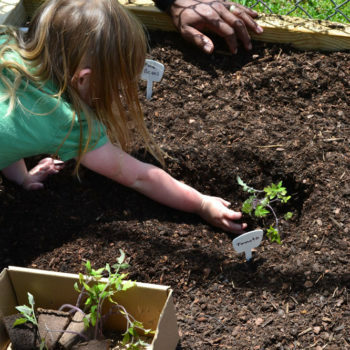 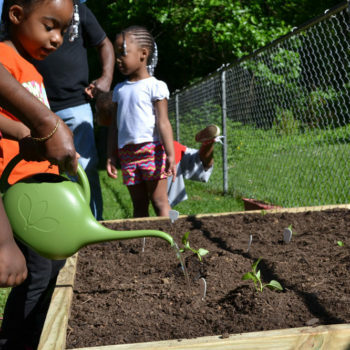 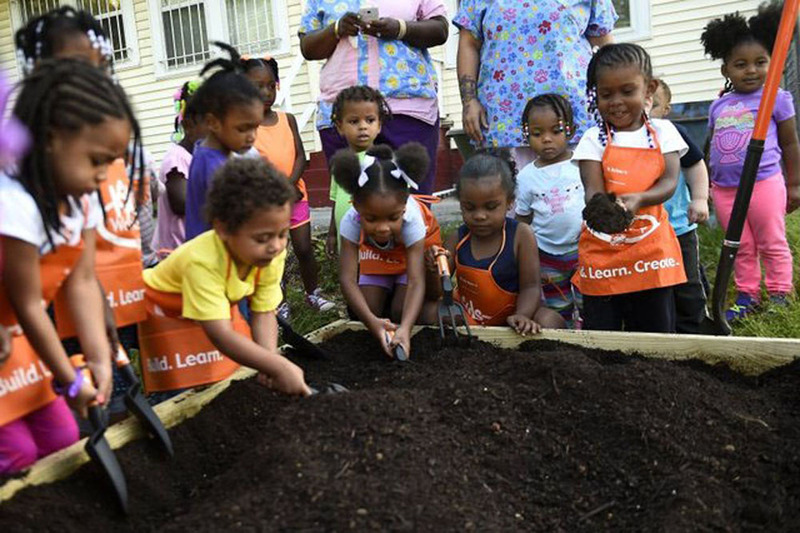 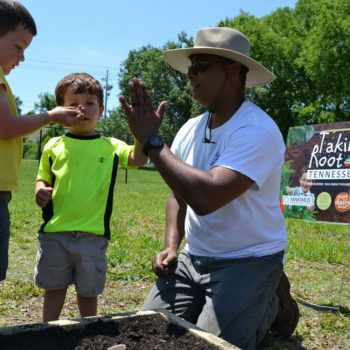 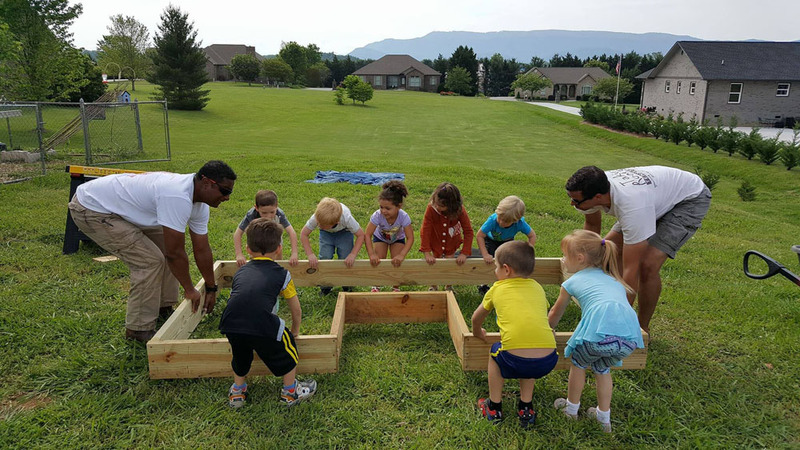 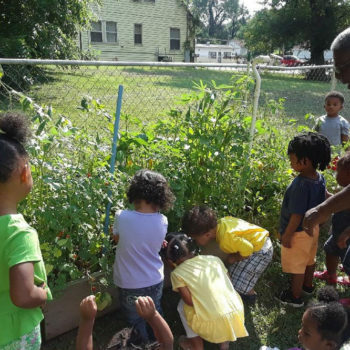 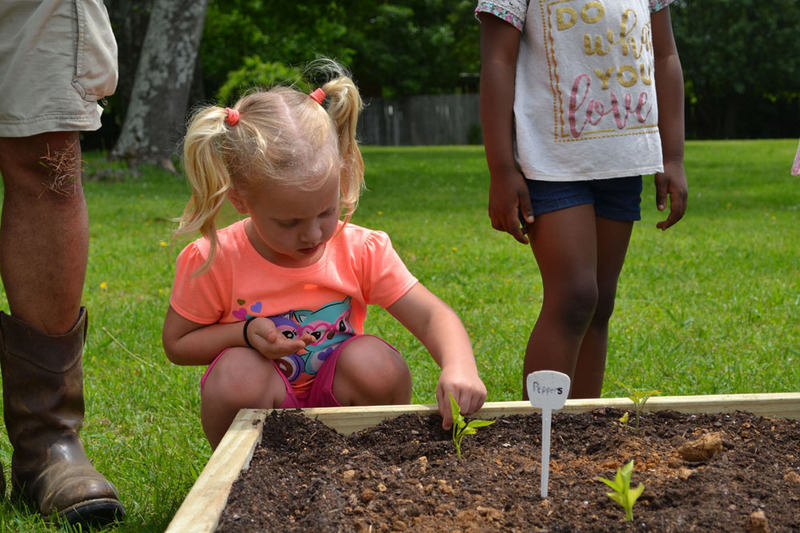 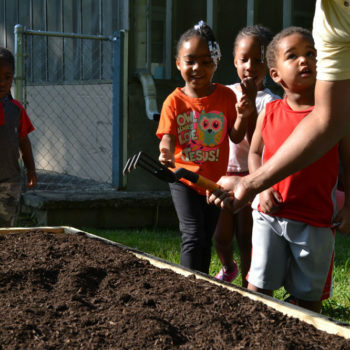 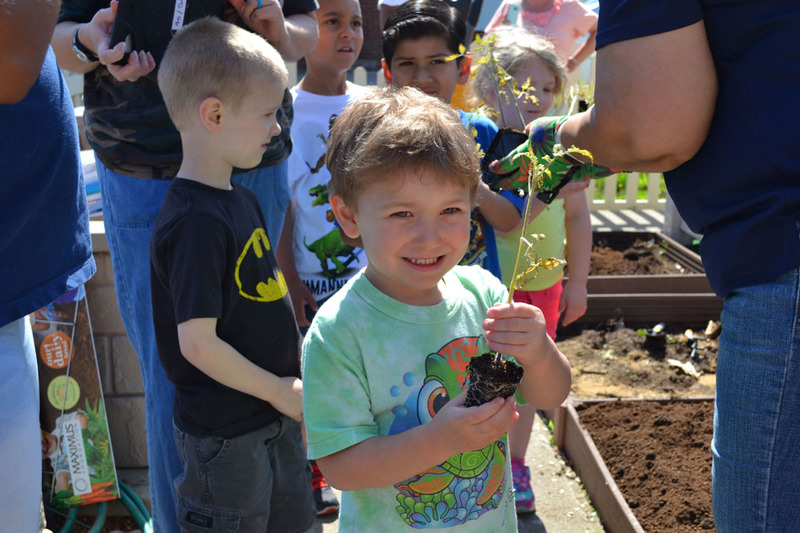 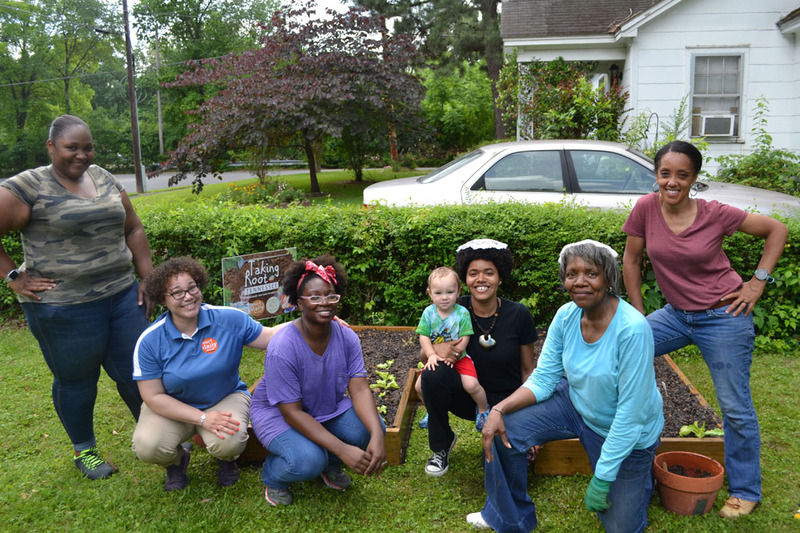 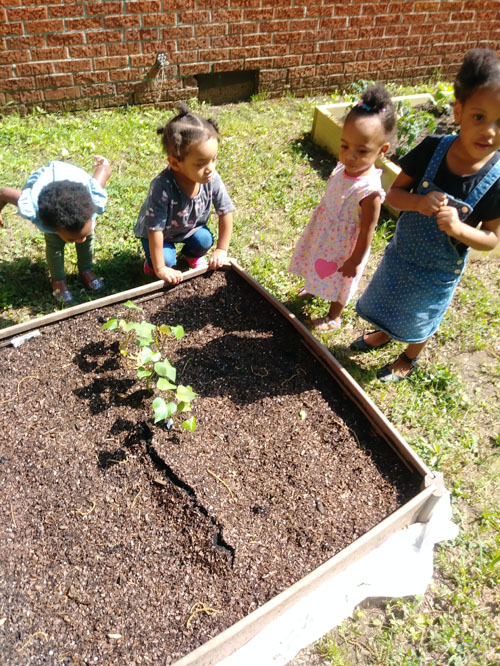 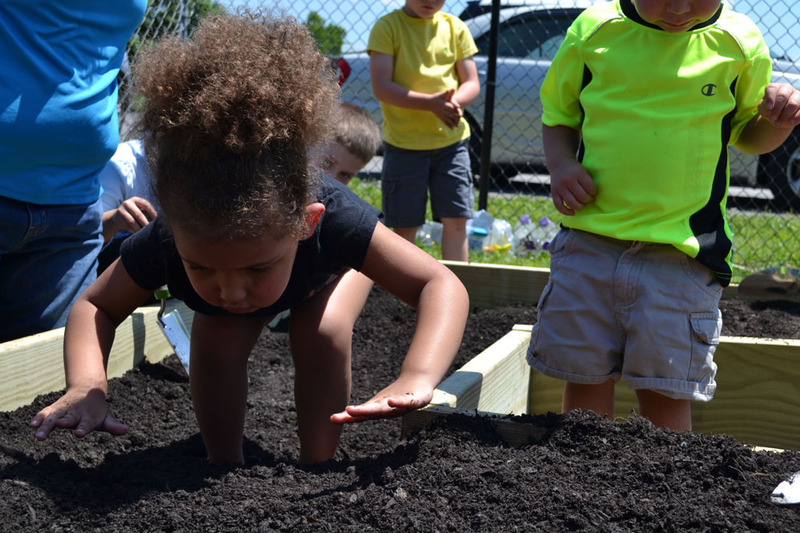 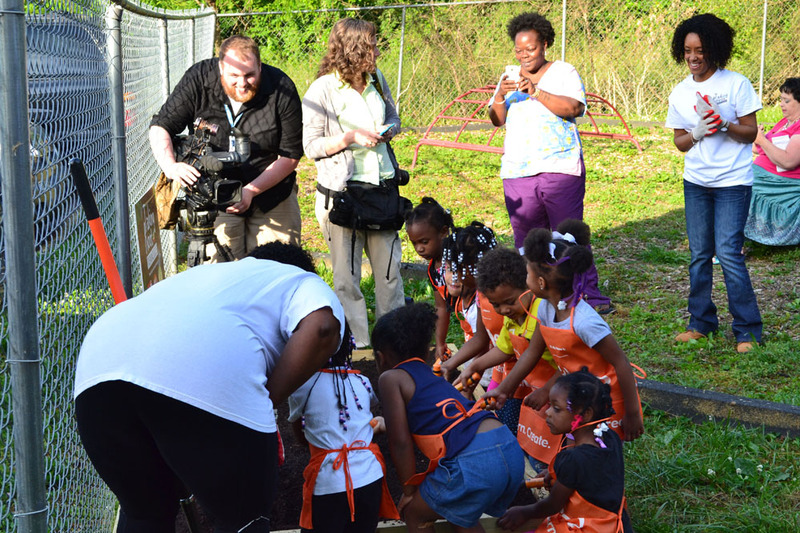 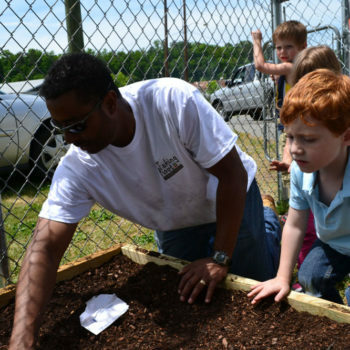 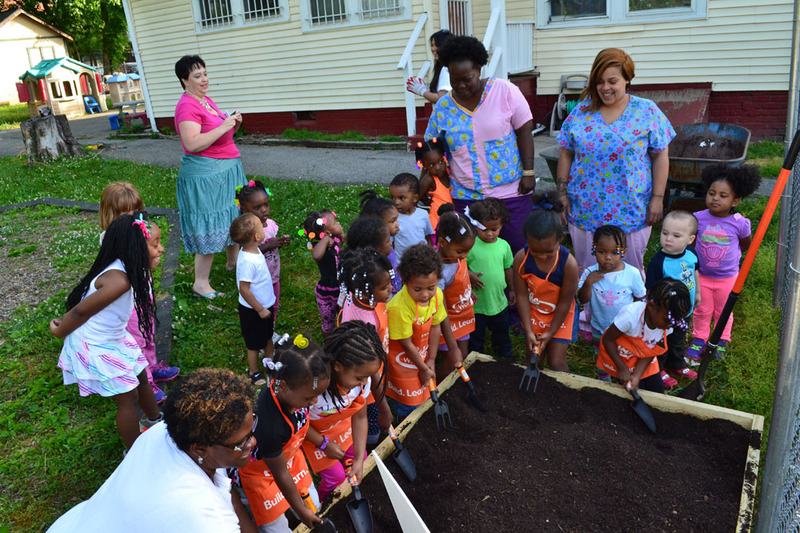 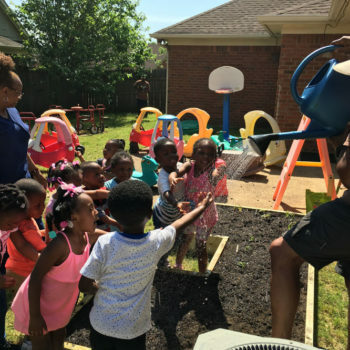 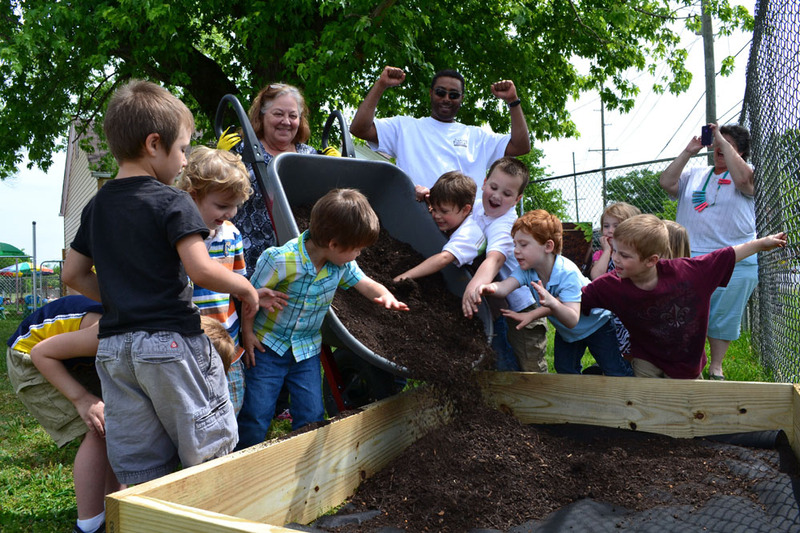 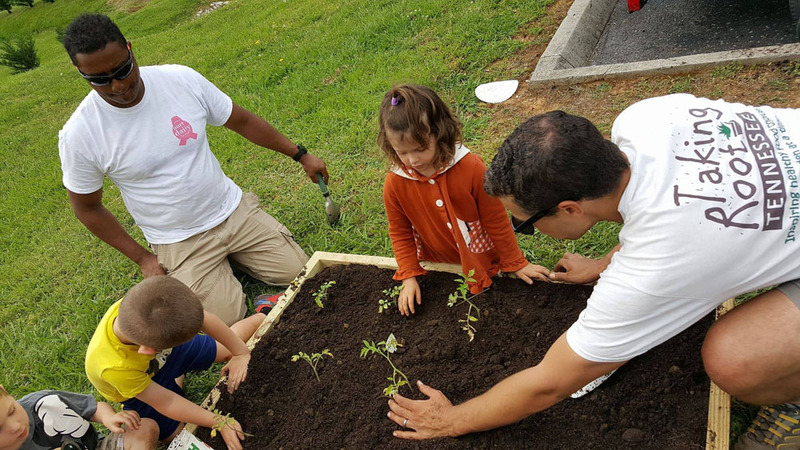 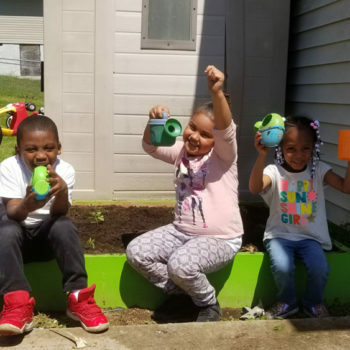 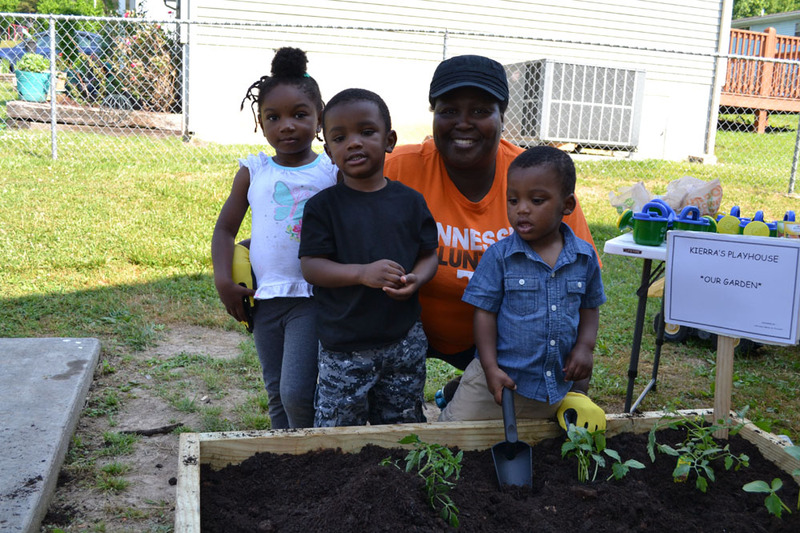 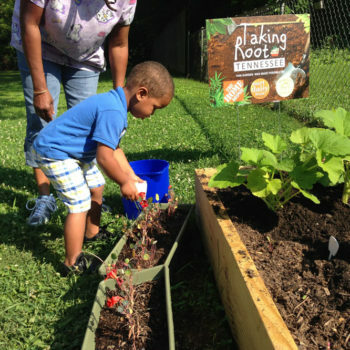 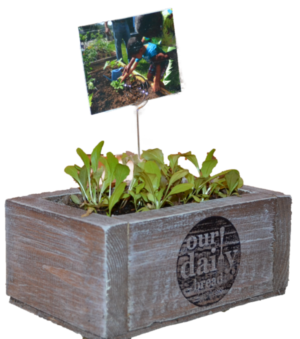 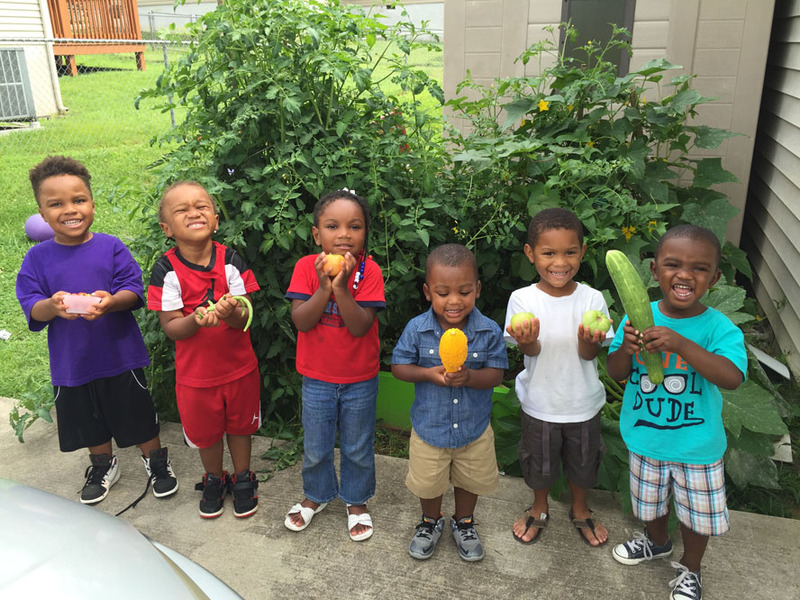 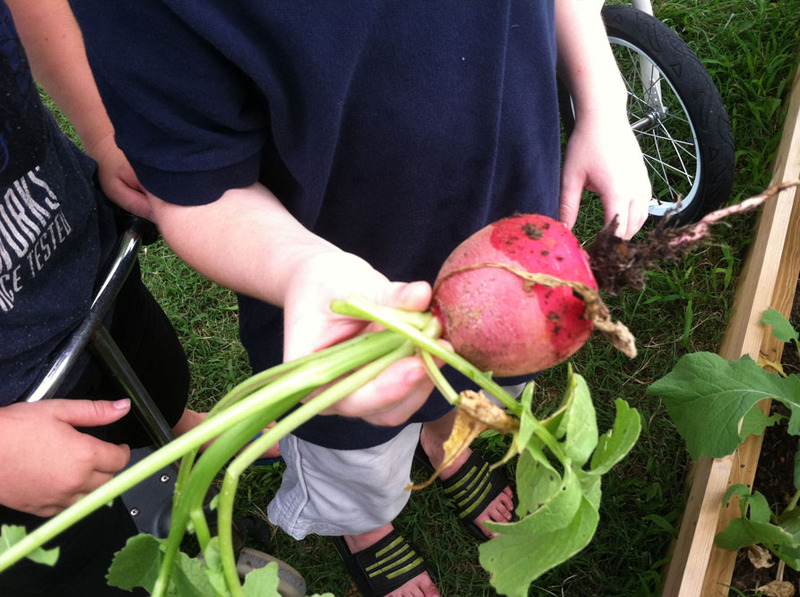 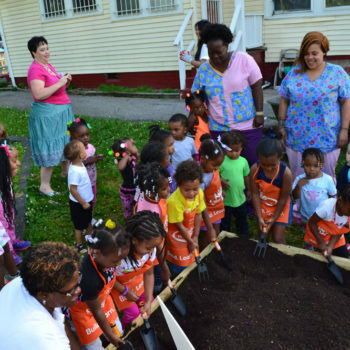 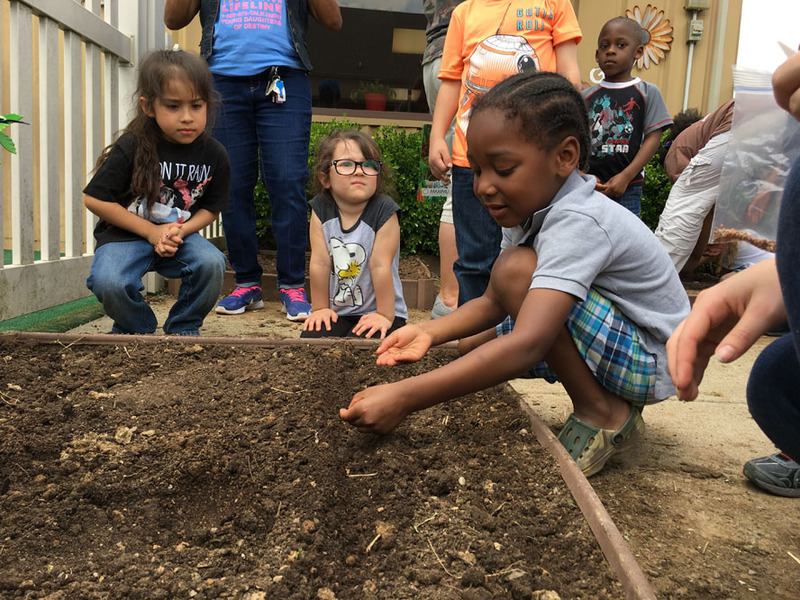 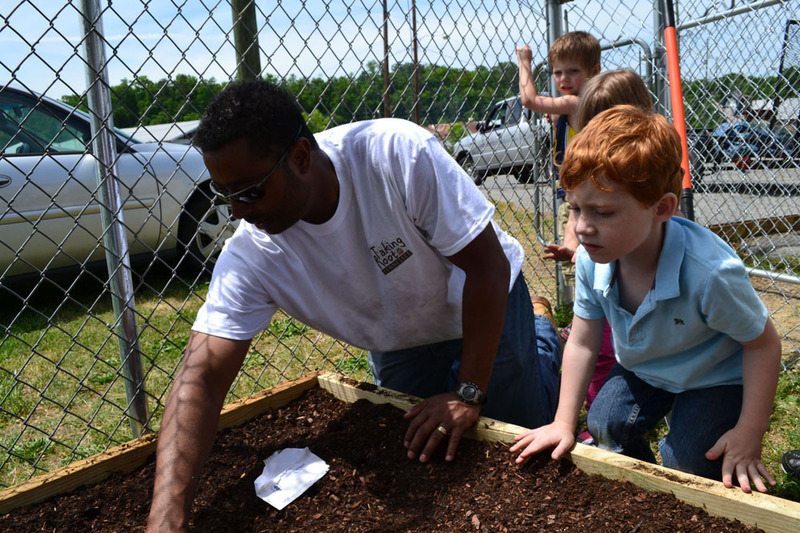 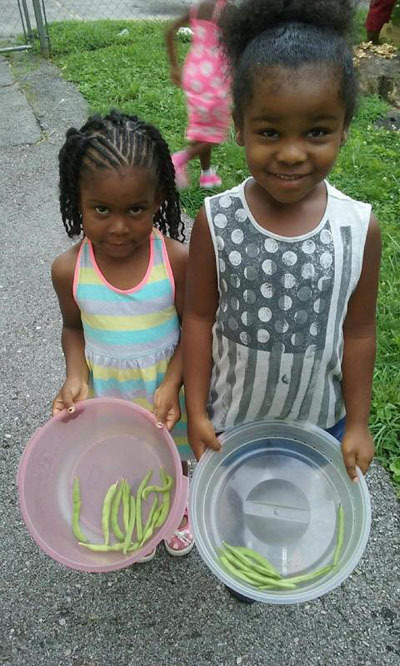 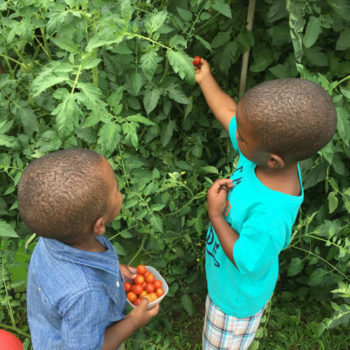 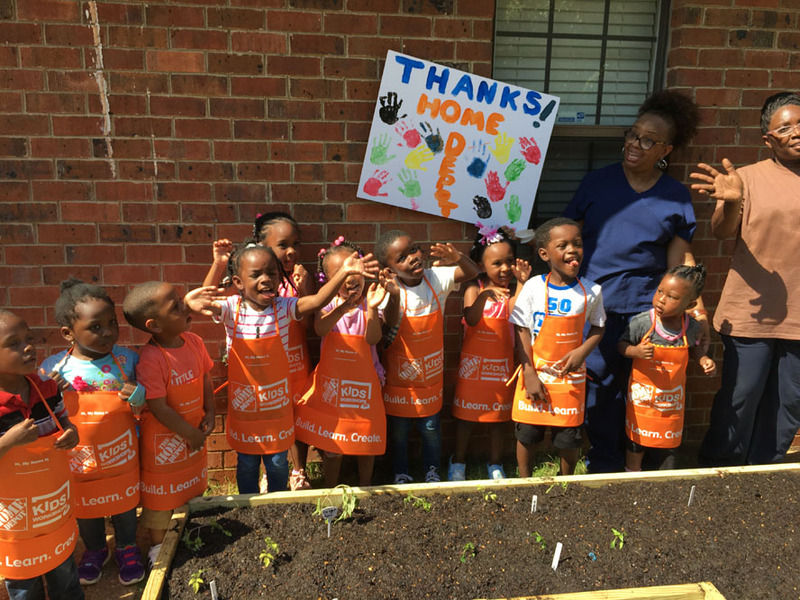 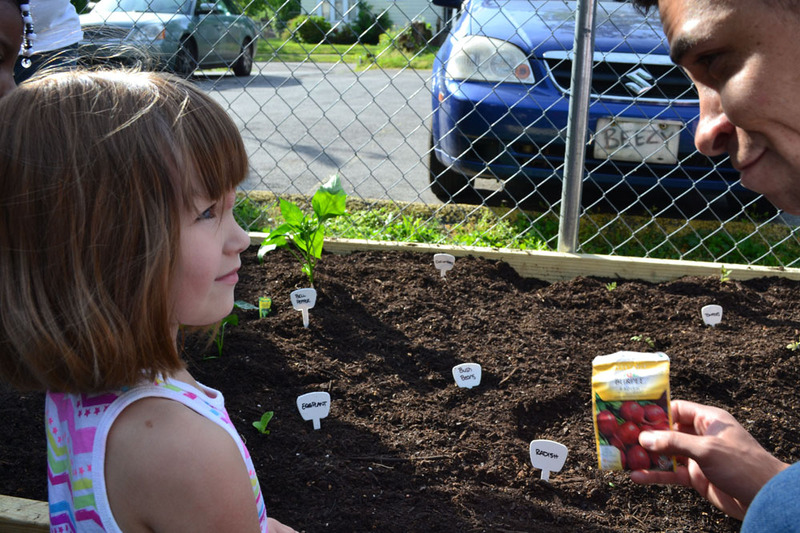 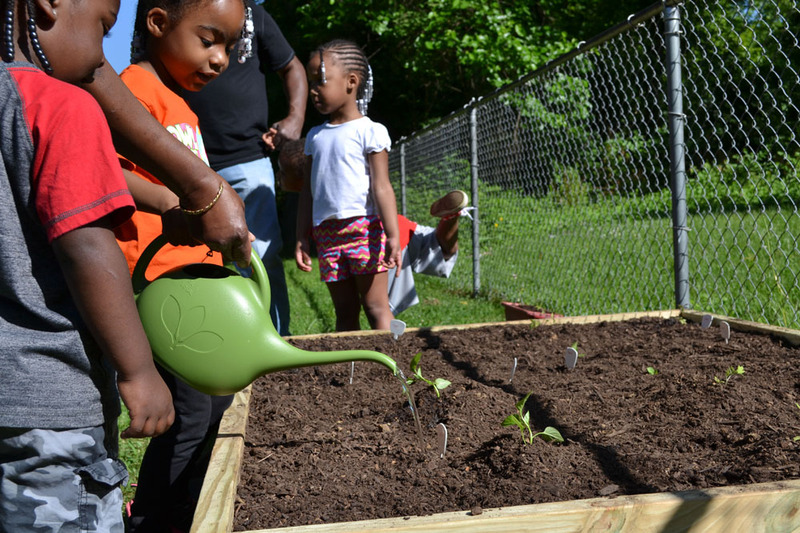 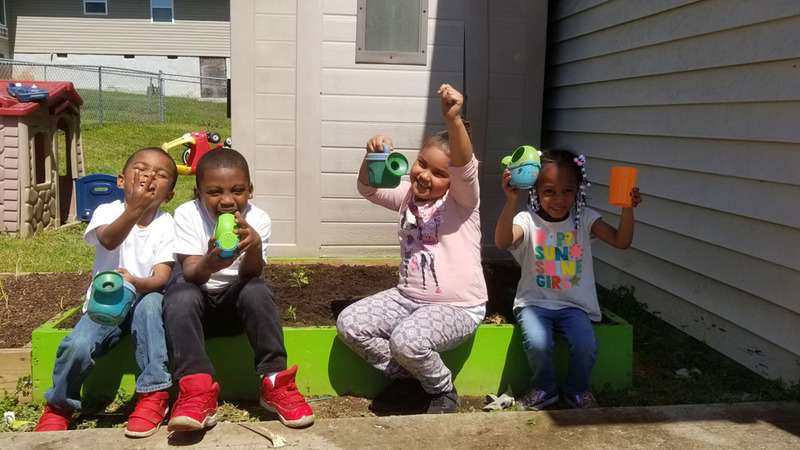 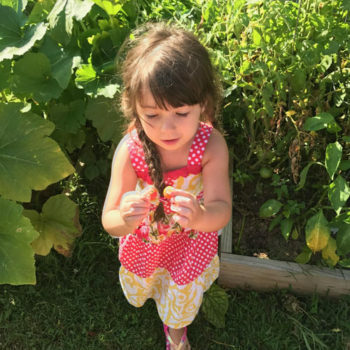 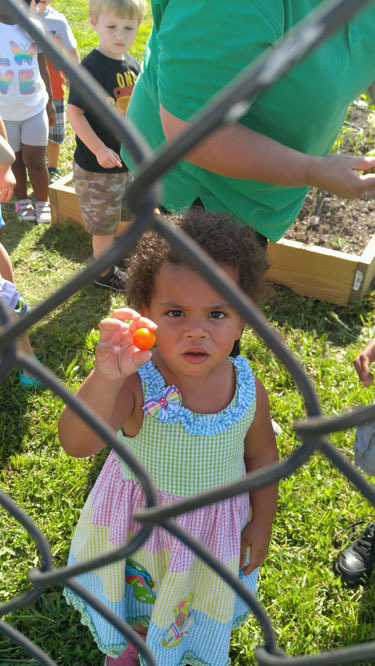 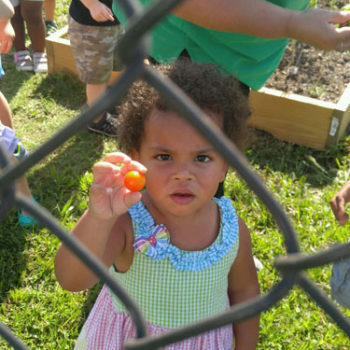 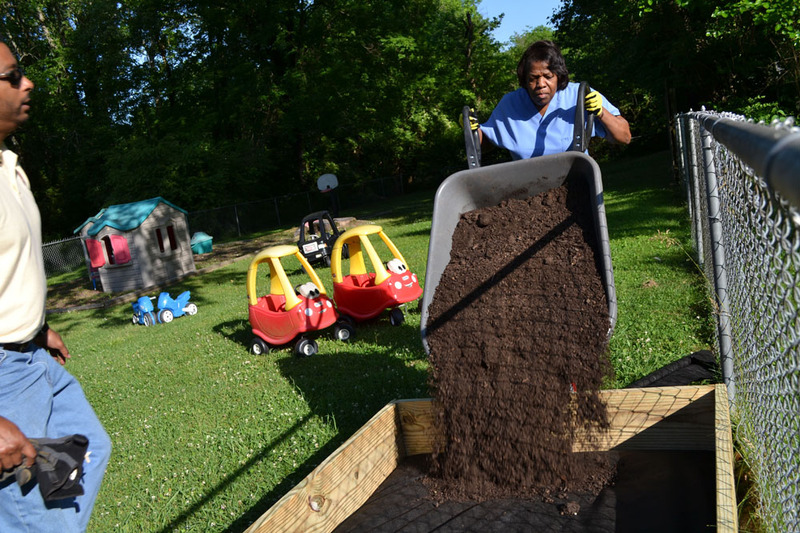 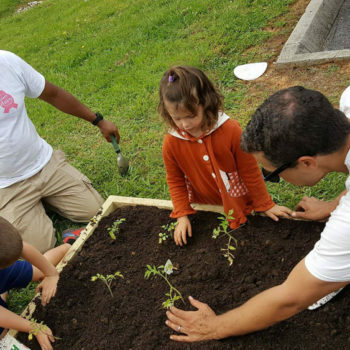 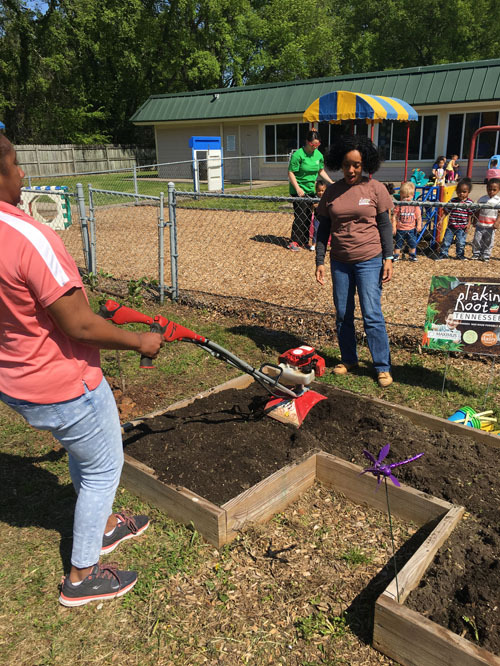 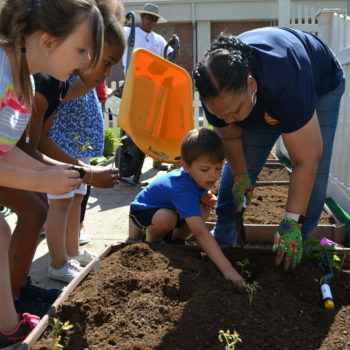 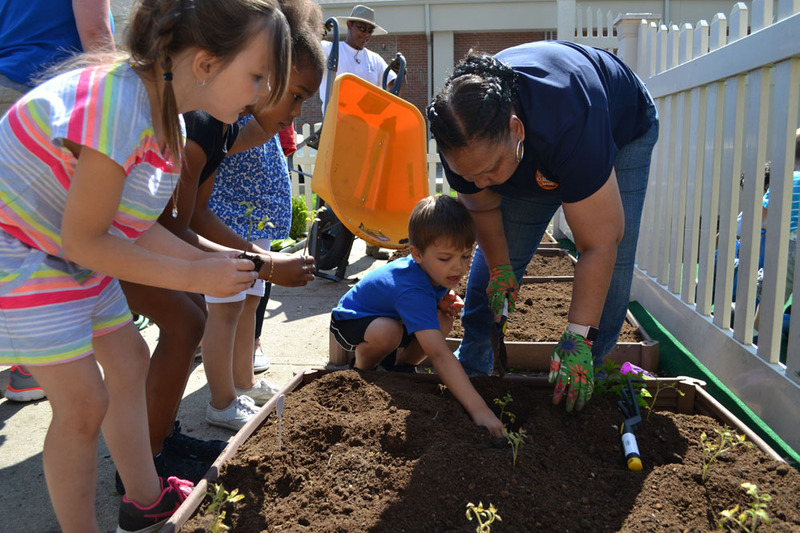 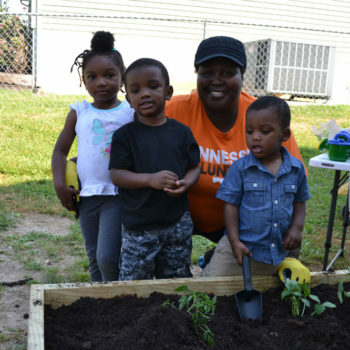 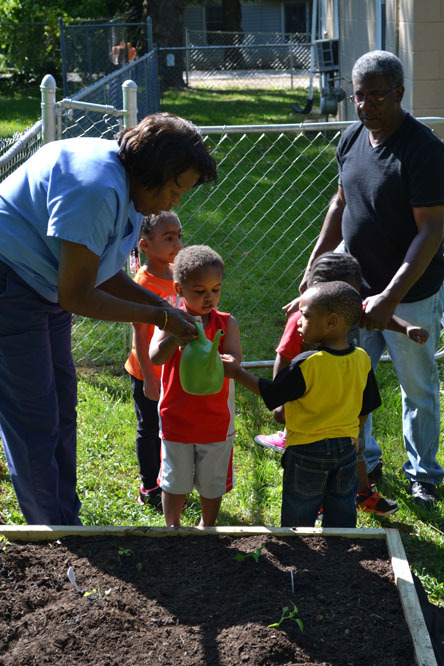 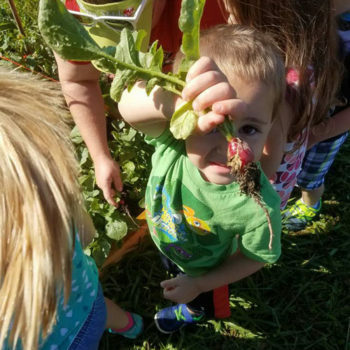 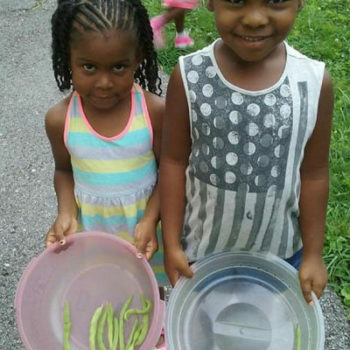 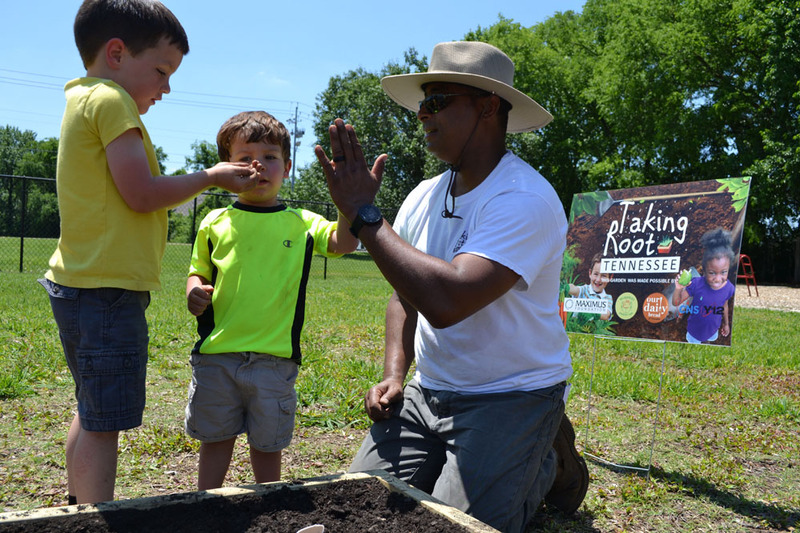 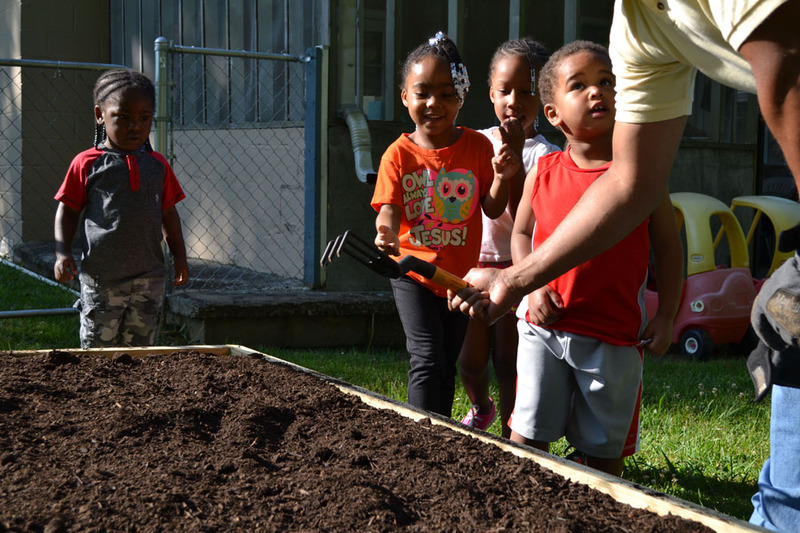 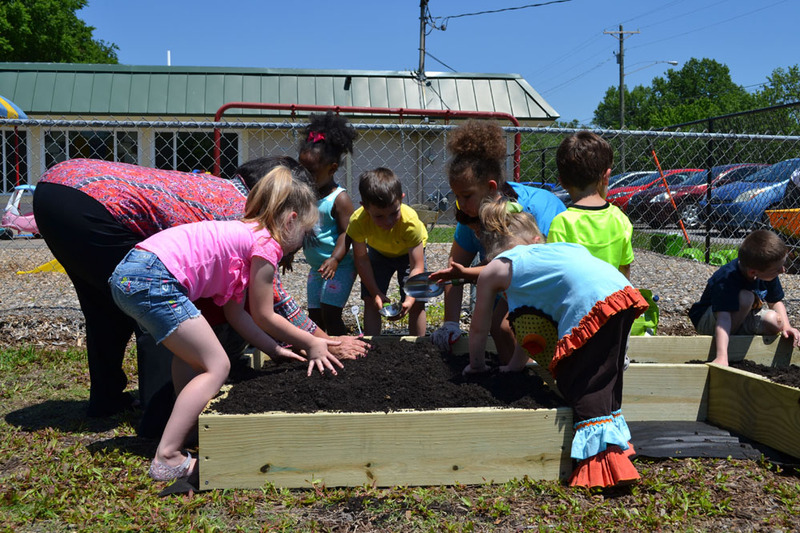 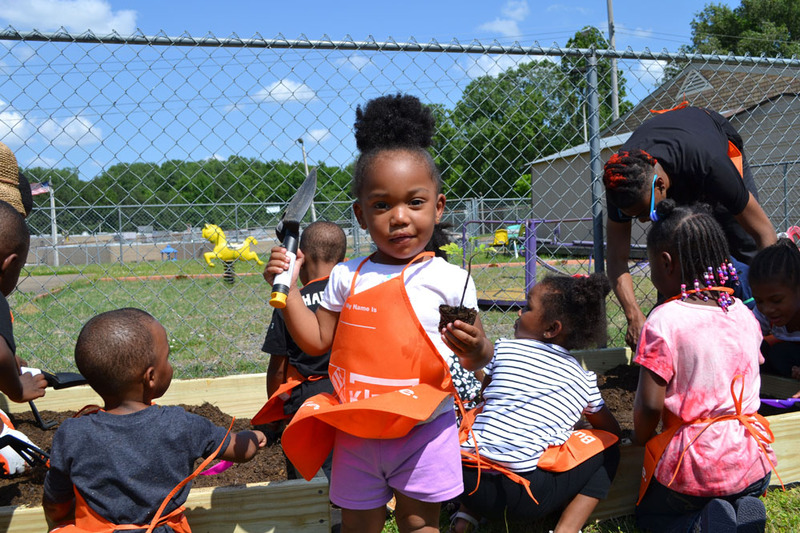 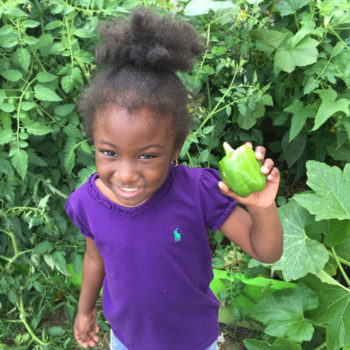 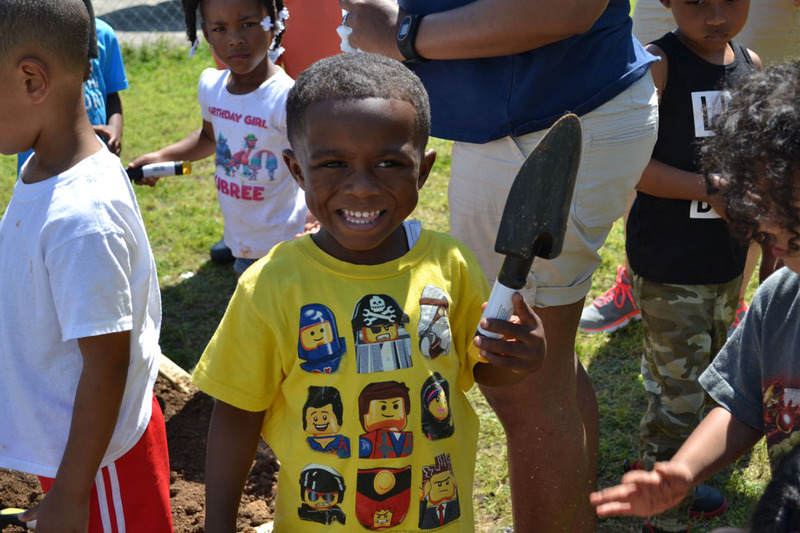 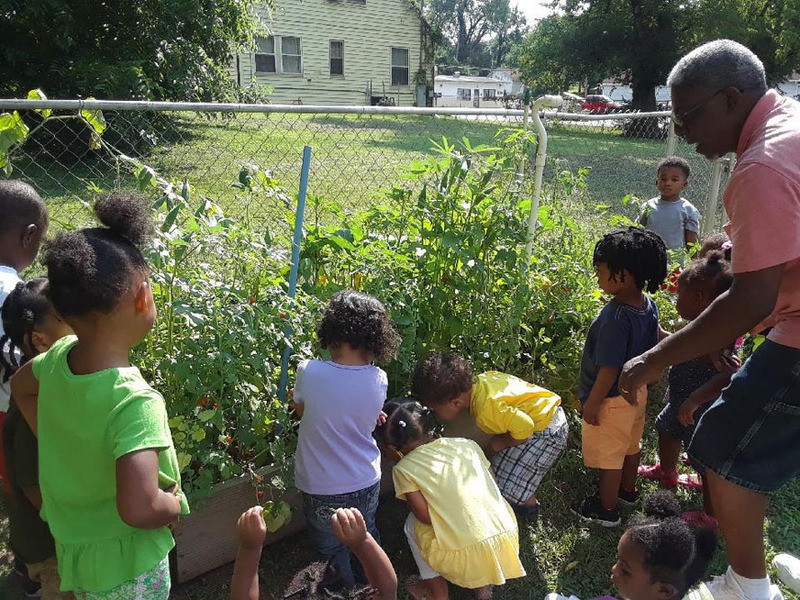 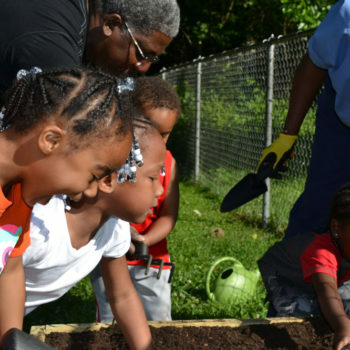 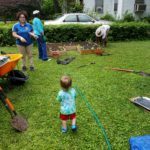 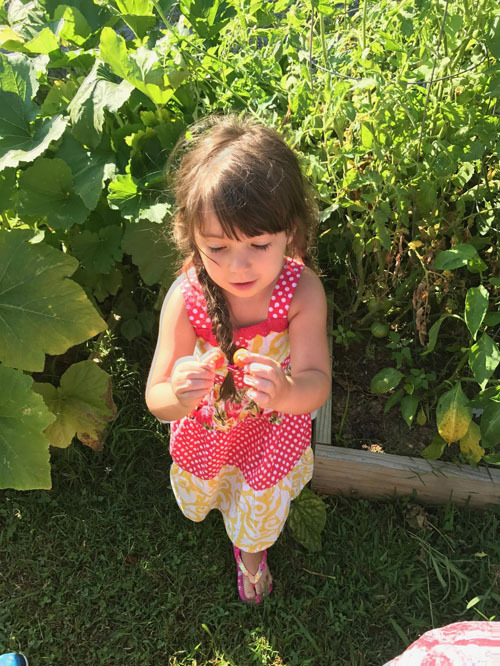 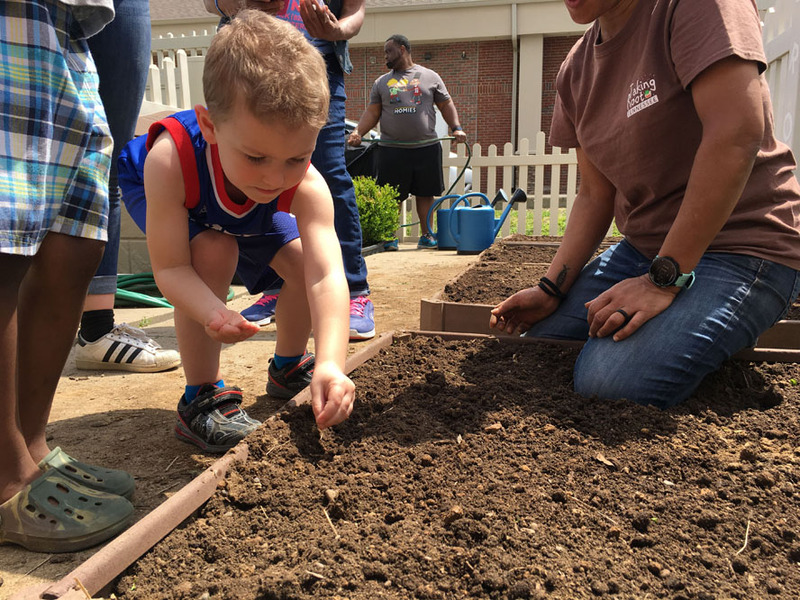 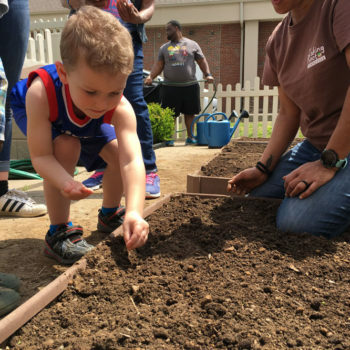 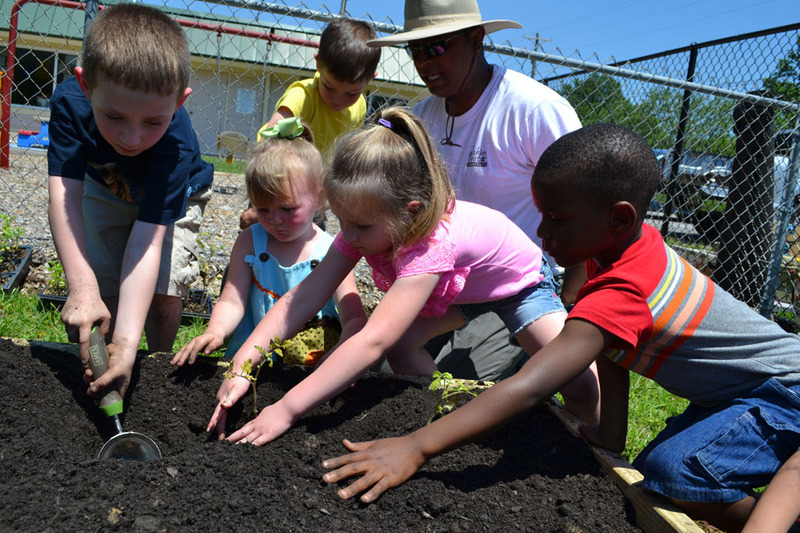 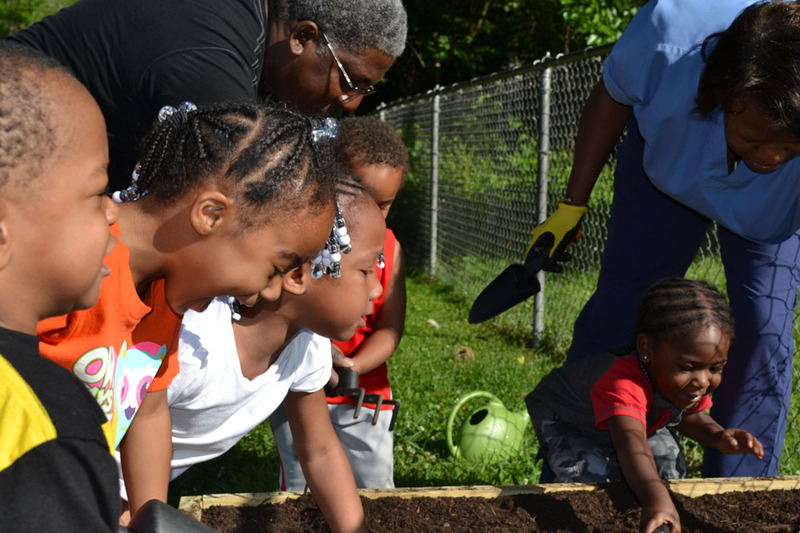 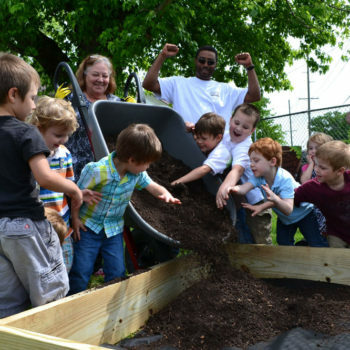 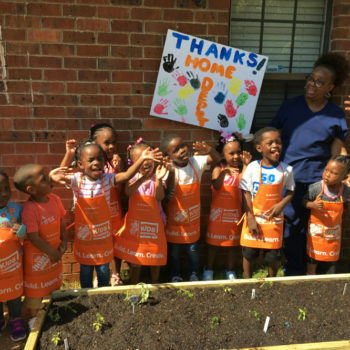 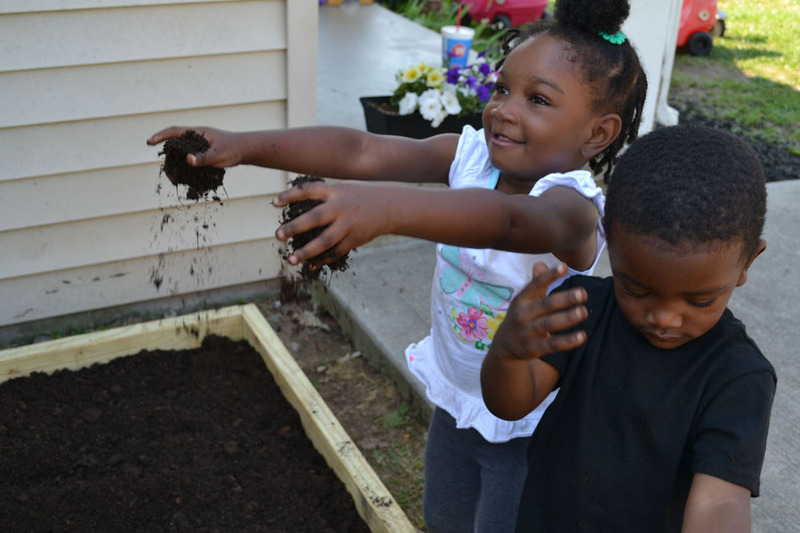 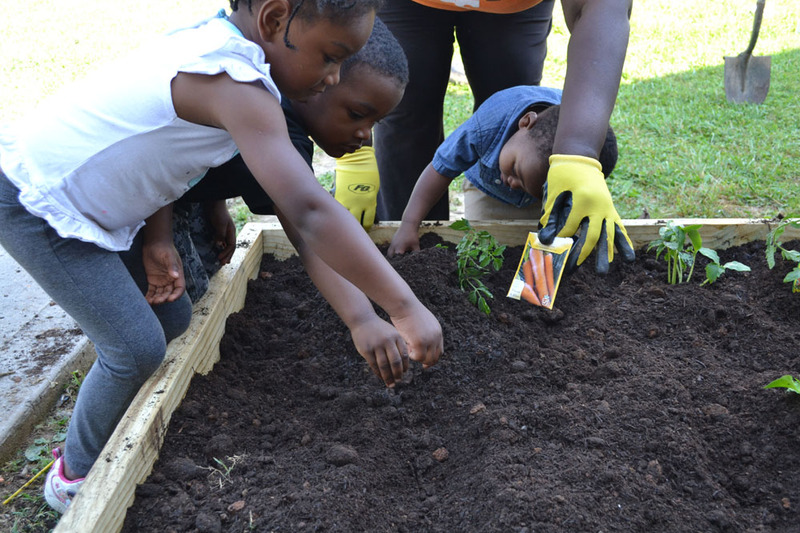 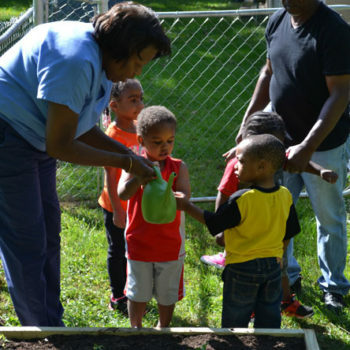 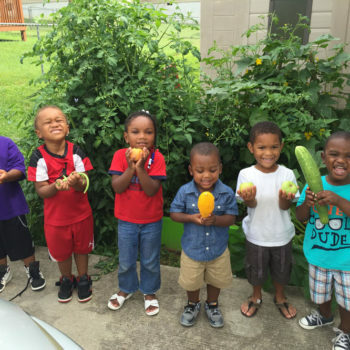 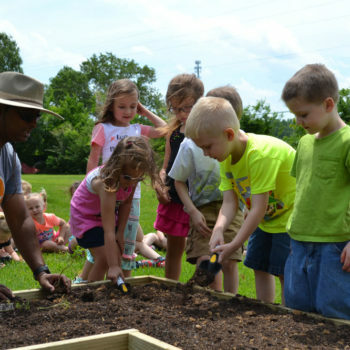 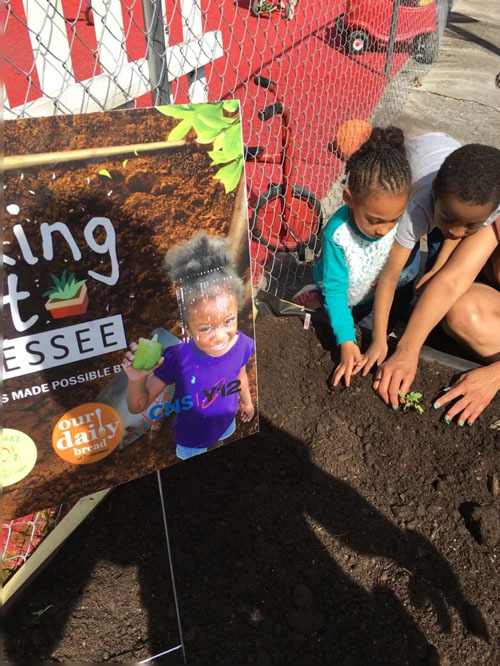 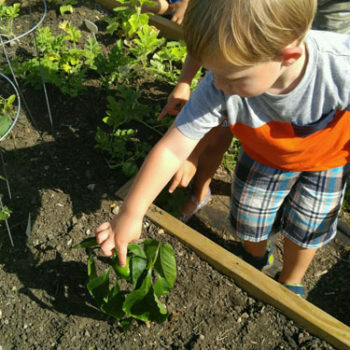 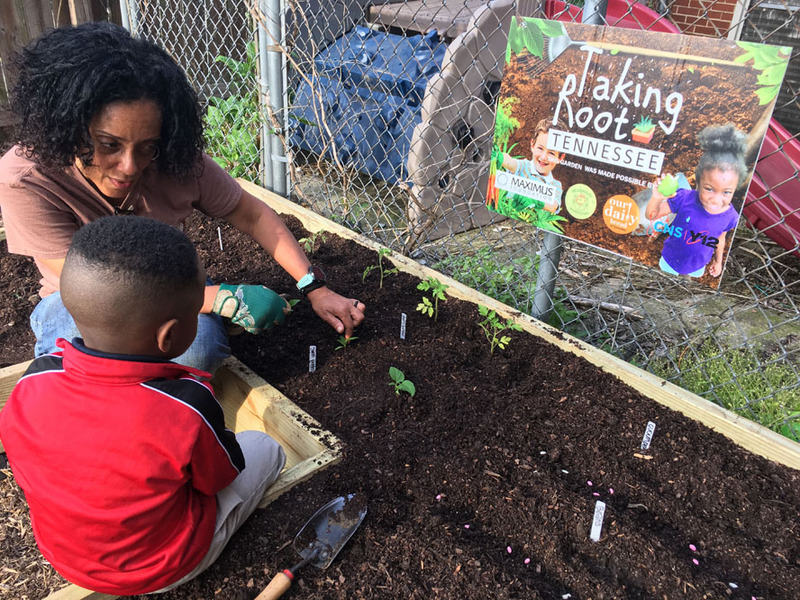 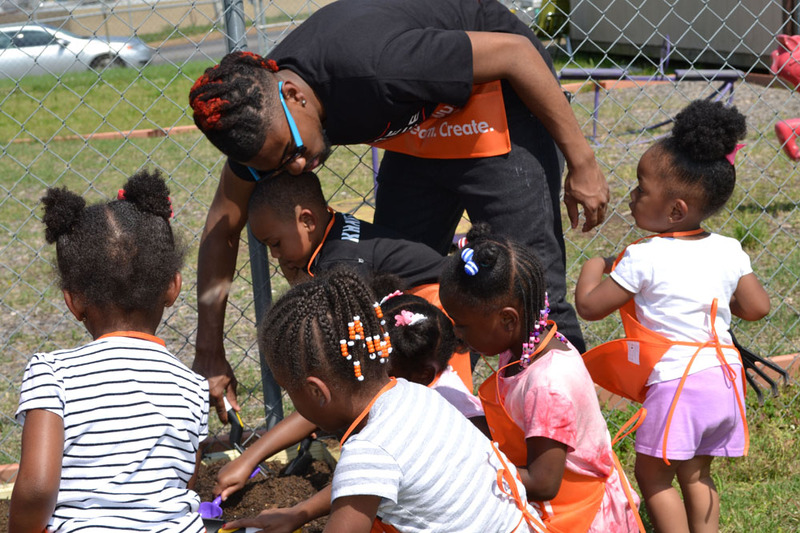 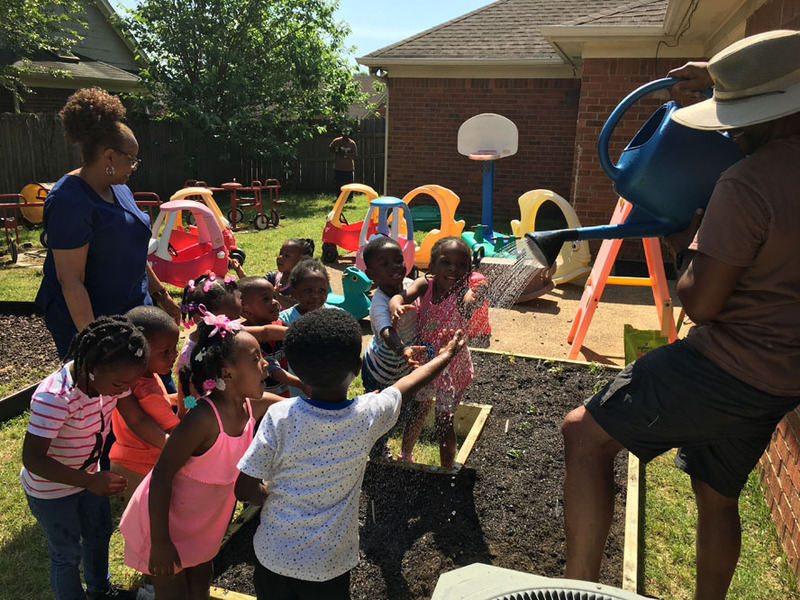 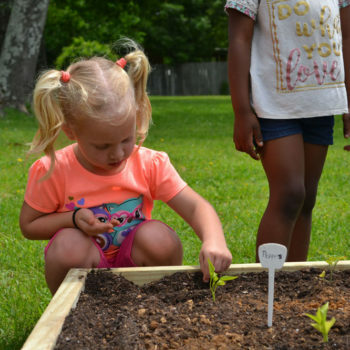 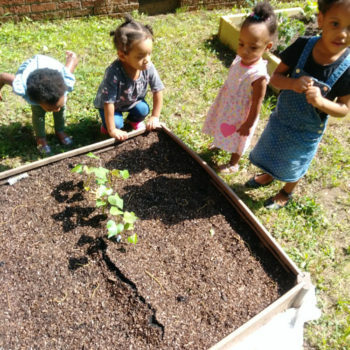 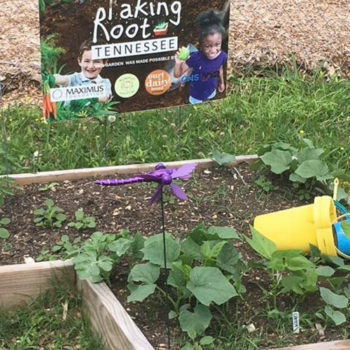 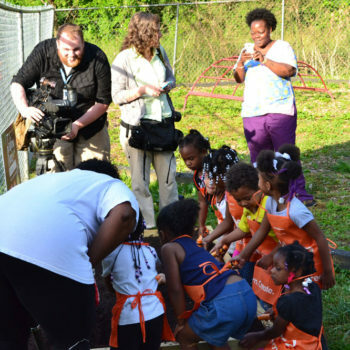 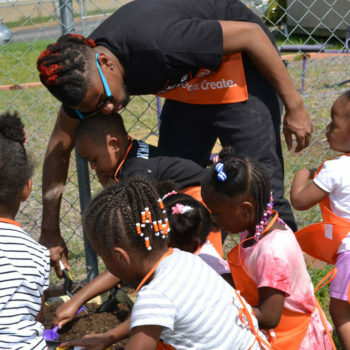 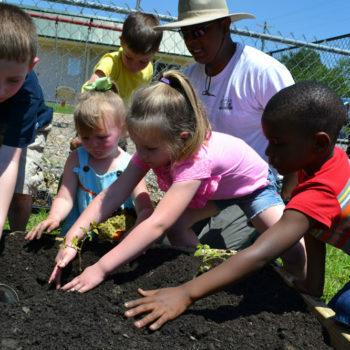 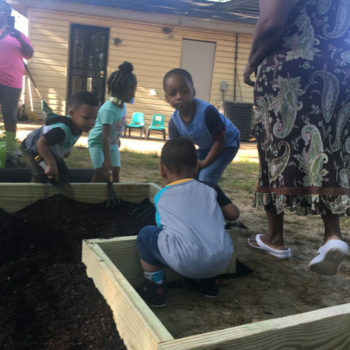 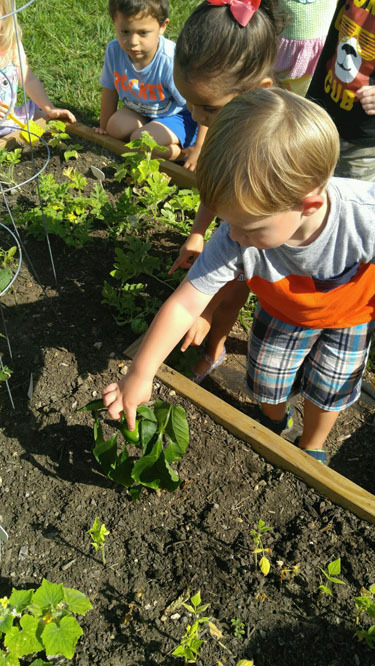 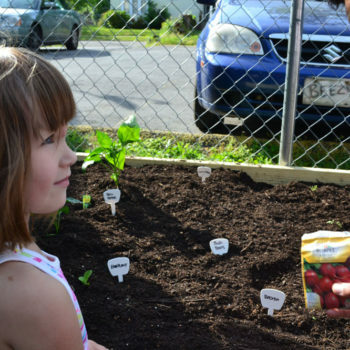 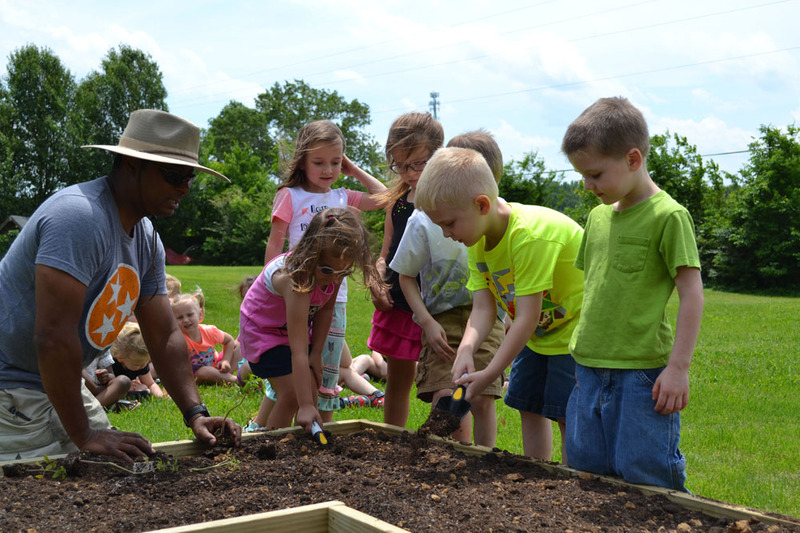 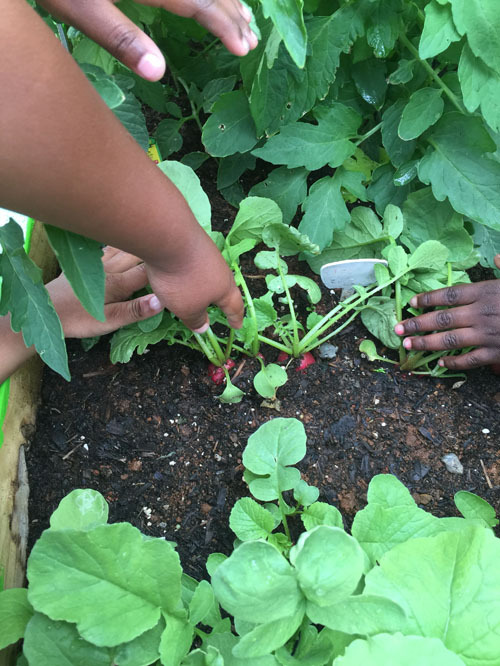 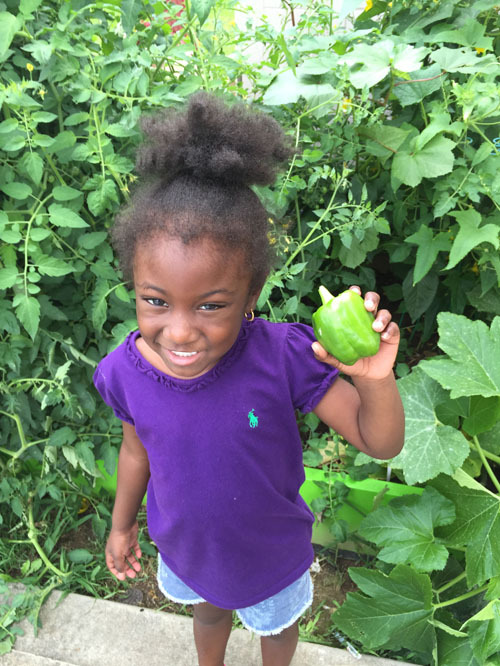 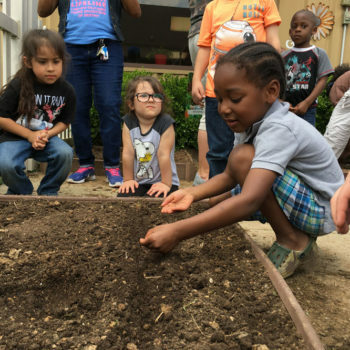 Taking Root Tennessee aims to influence positive food choices in children by bringing gardening opportunities to childcare settings & homes. 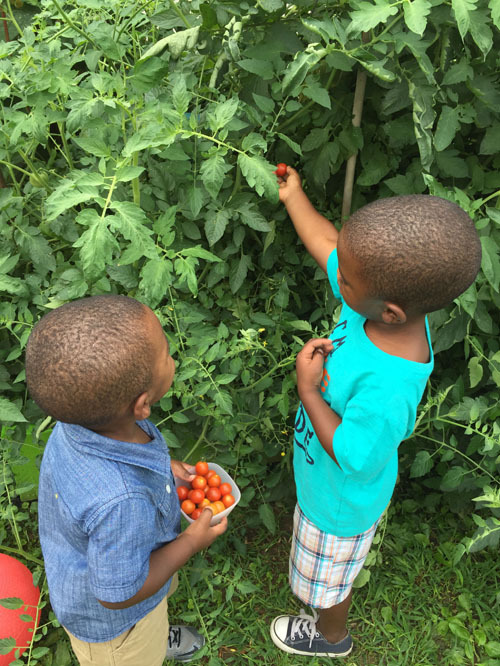 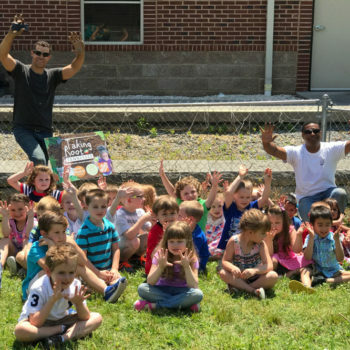 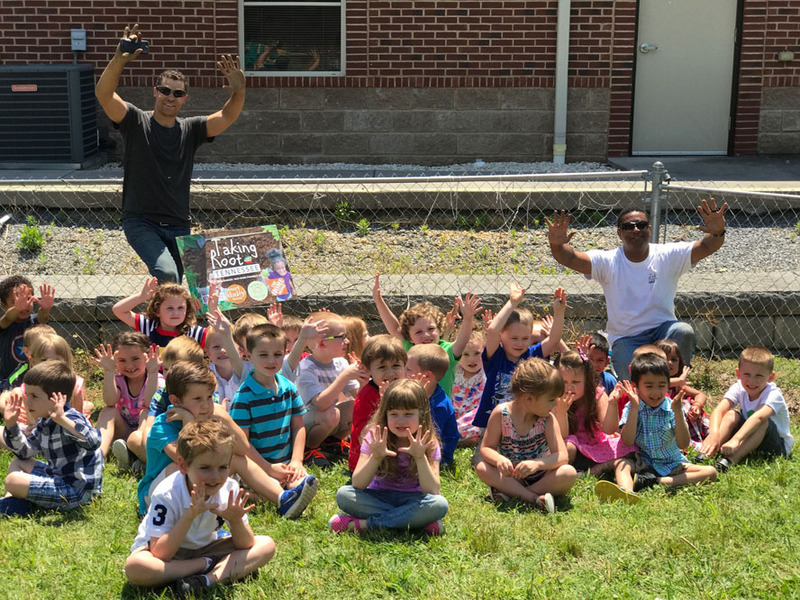 Our mission is to empower young people and inspire healthy food choices in the children of Knox and surrounding counties. 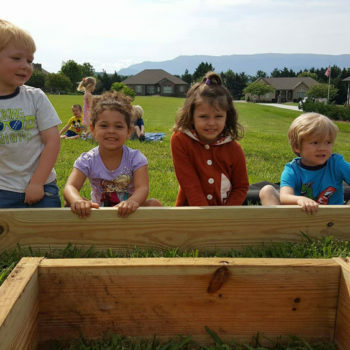 In 2010, 15.8% of Tennessee youth age 18 and under were obese, and 14.2% of Tennessee’s children age two to four were obese. 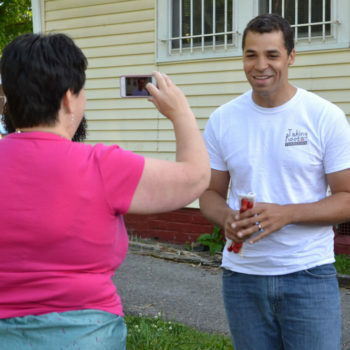 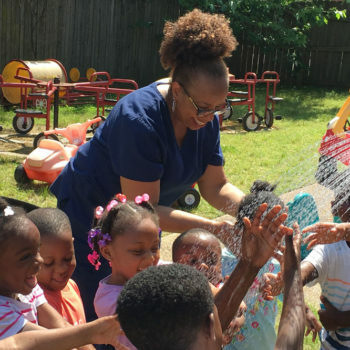 Childcare providers have a unique opportunity to help lower the obesity rates of children. 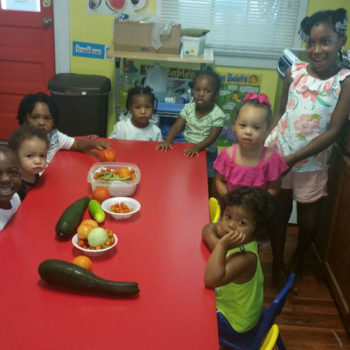 Many childcare providers feed children two or more meals a day. 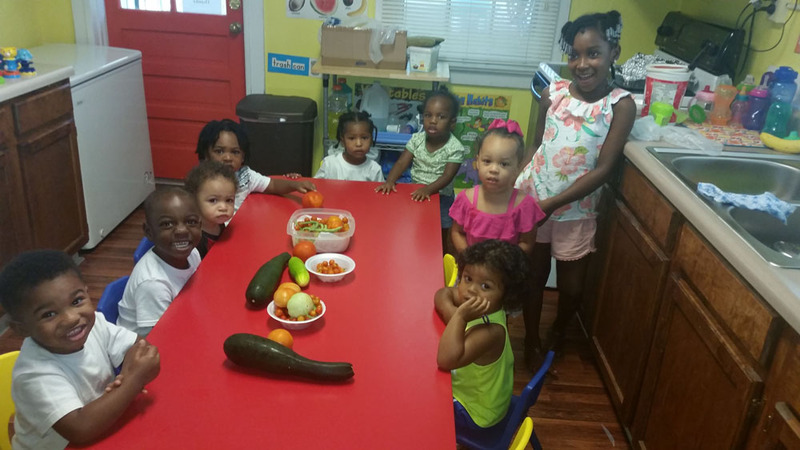 If given the resources, childcare providers can model and inspire healthy food choices in children. 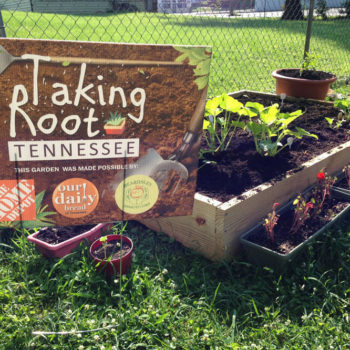 WHAT IS TAKING ROOT TENNESSEE? 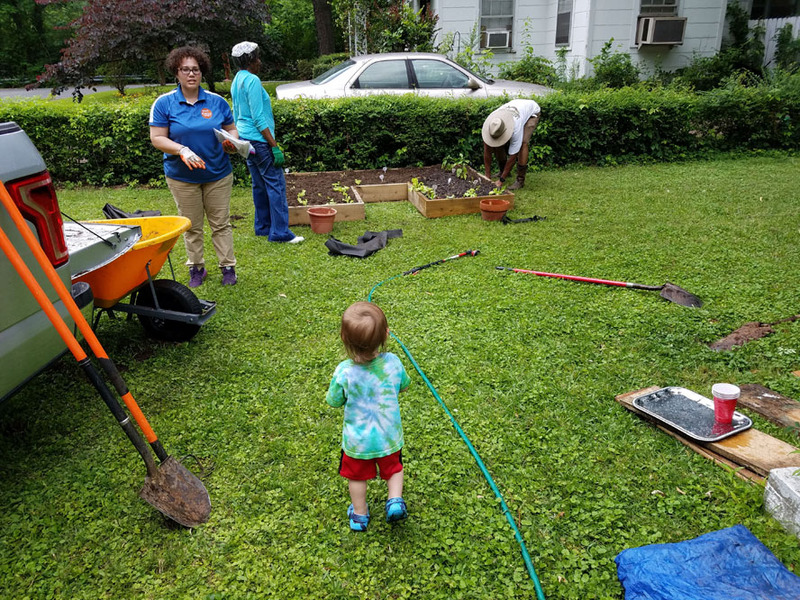 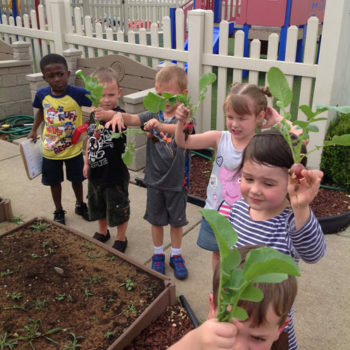 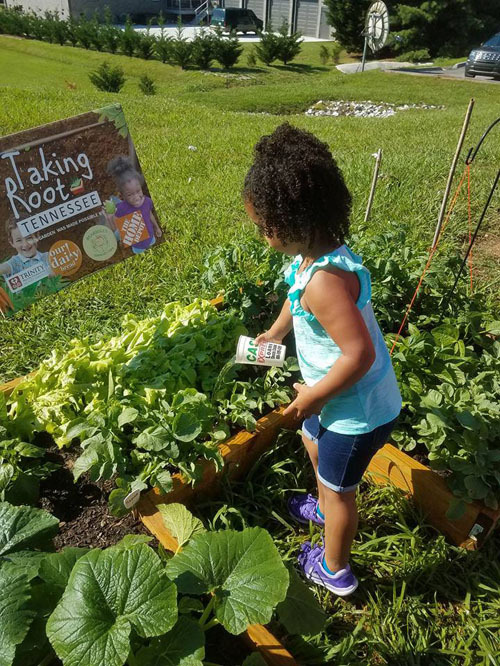 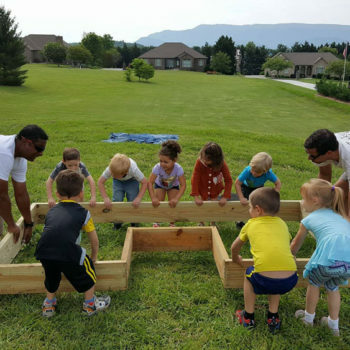 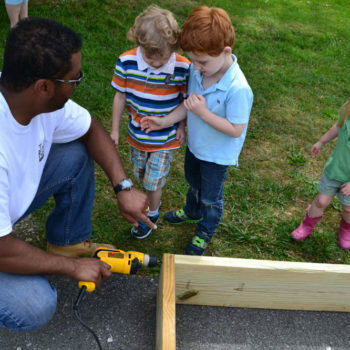 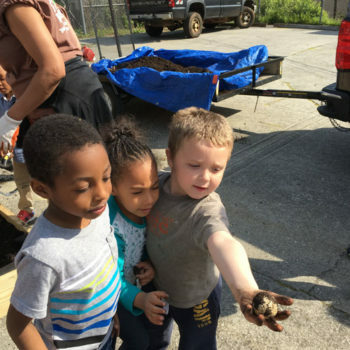 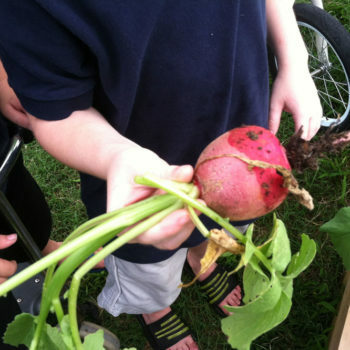 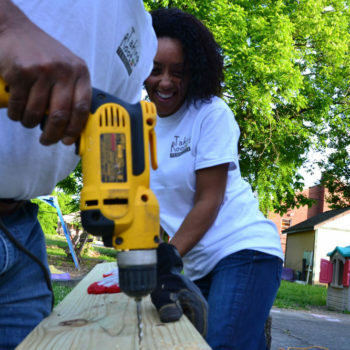 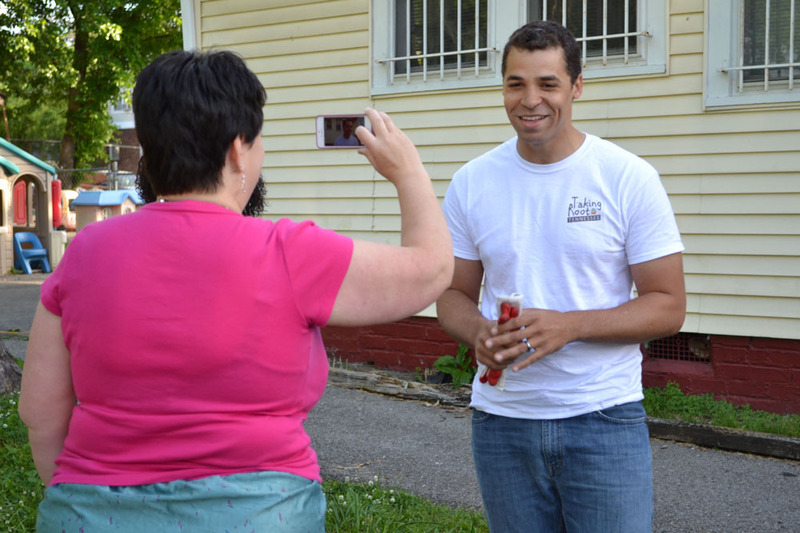 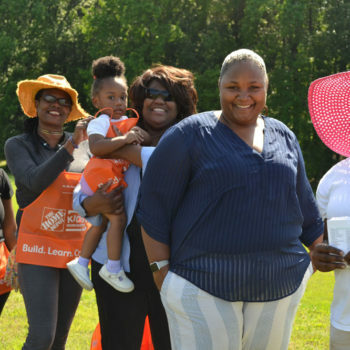 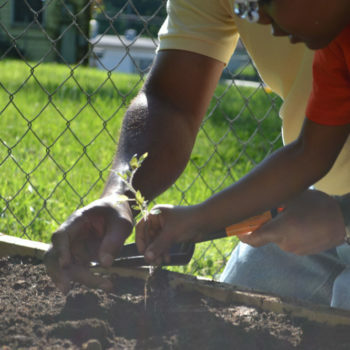 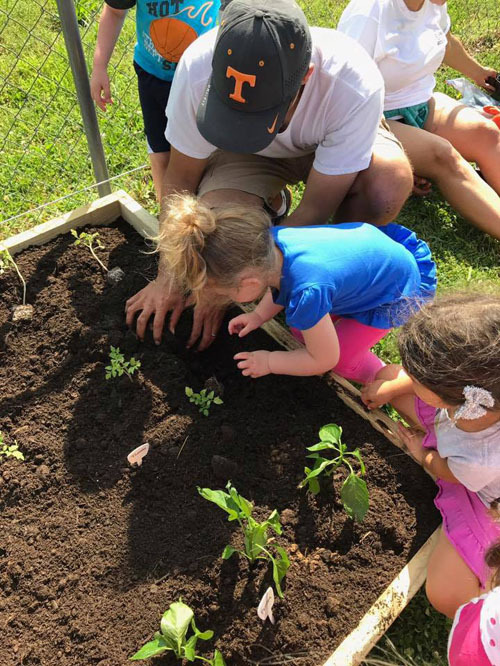 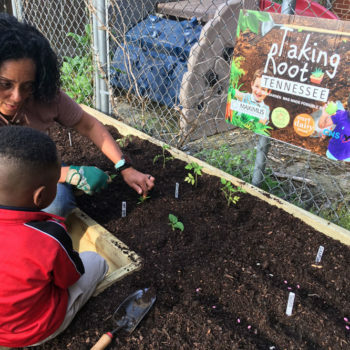 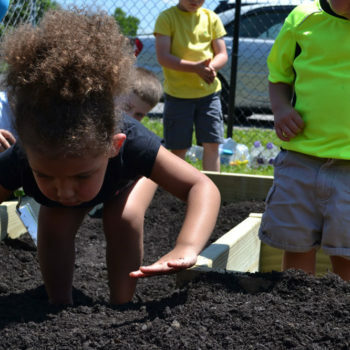 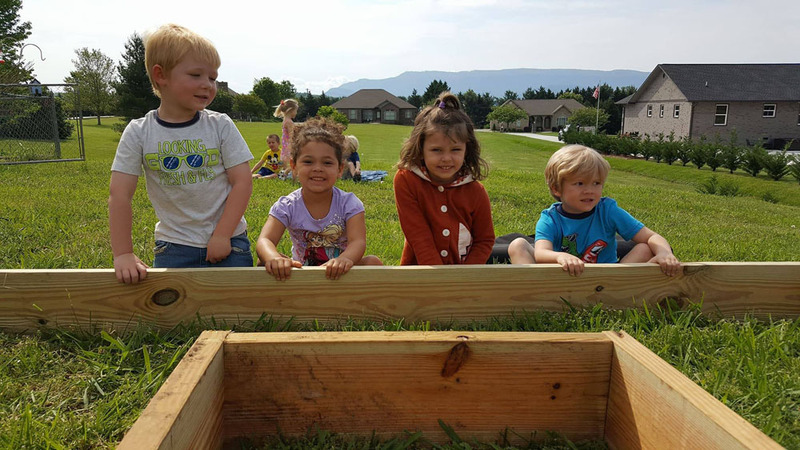 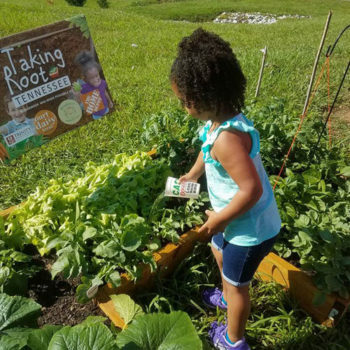 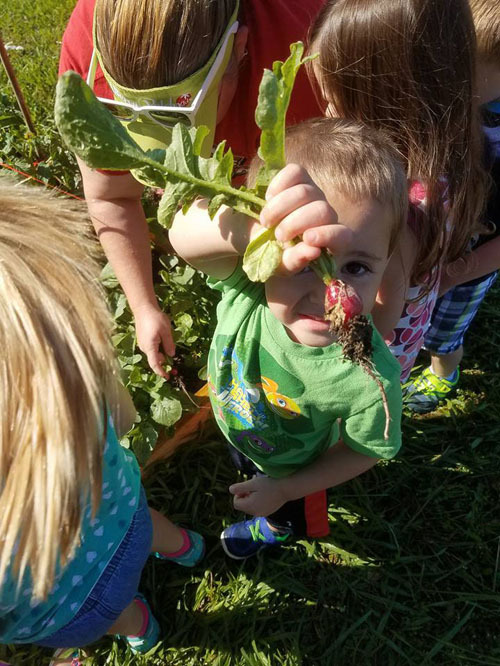 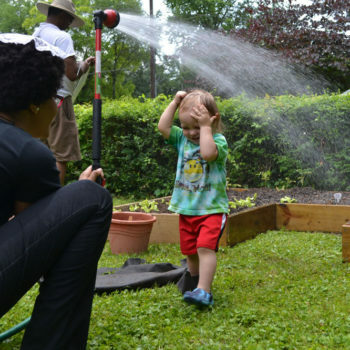 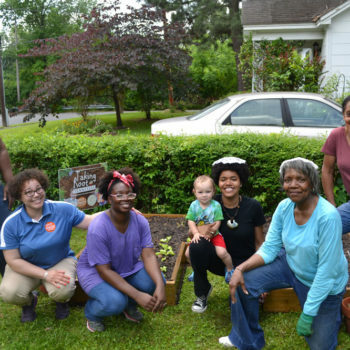 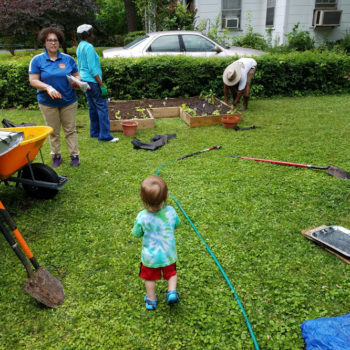 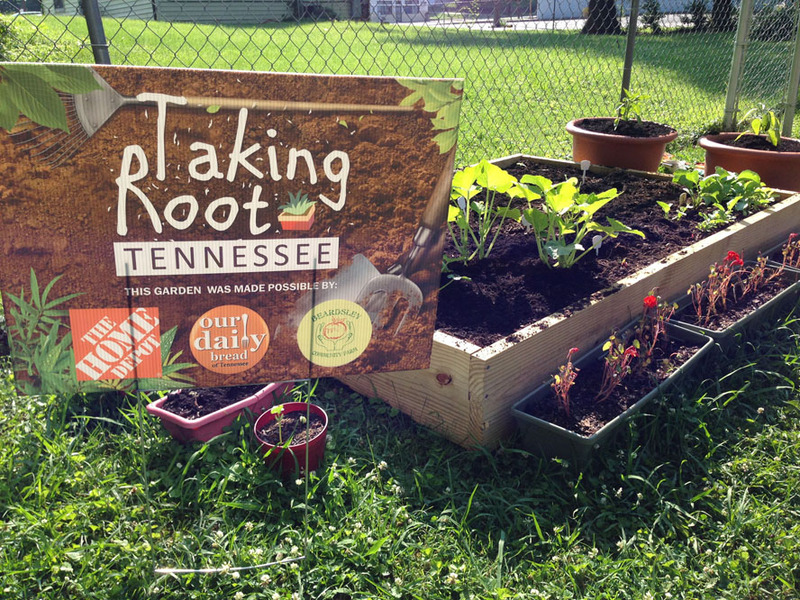 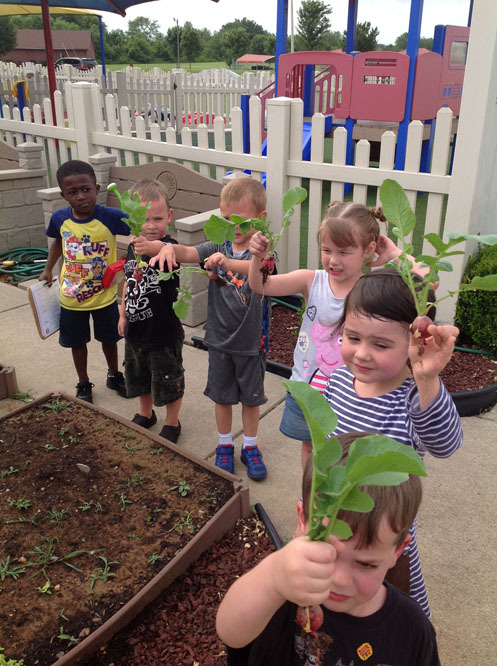 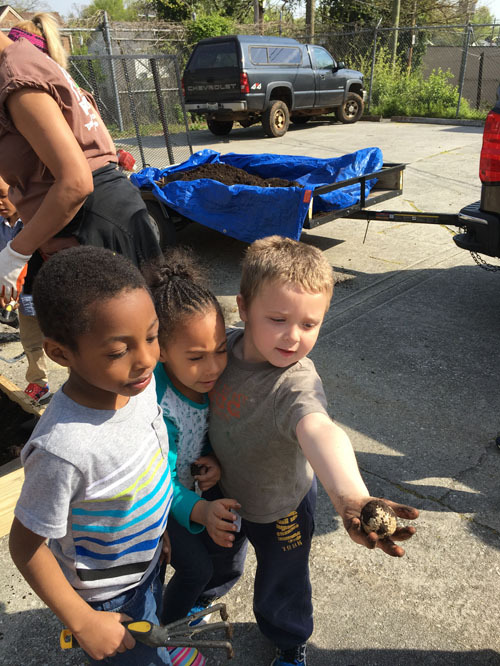 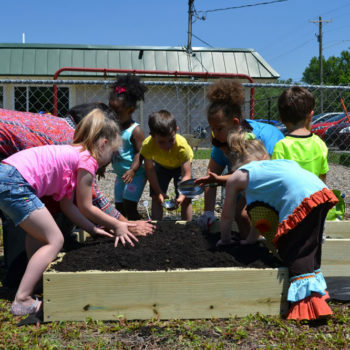 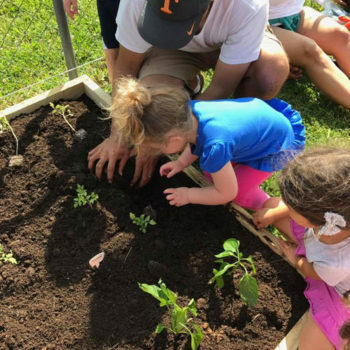 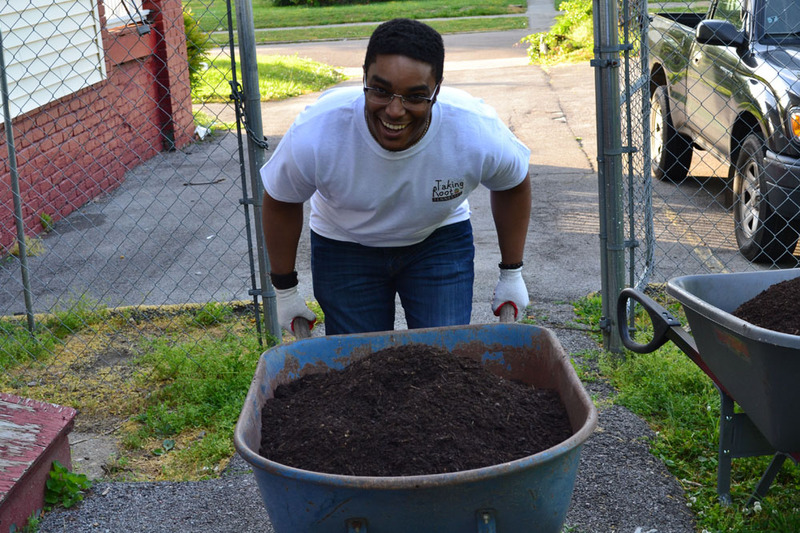 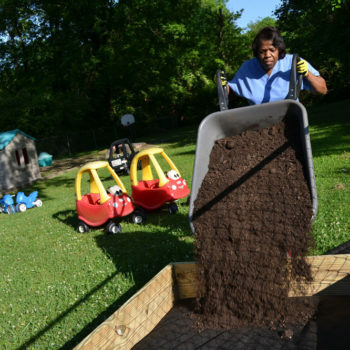 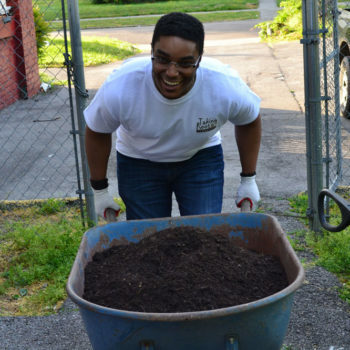 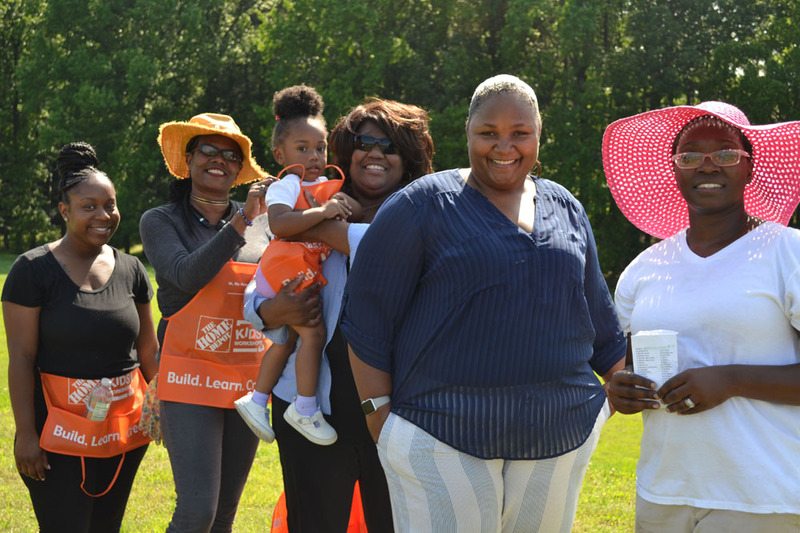 Taking Root Tennessee provides gardening supplies and educational resources to area childcare providers and families who fit certain eligibility criteria. 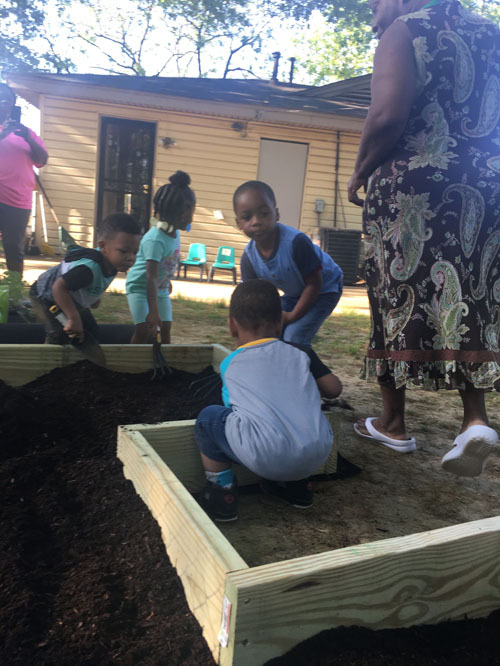 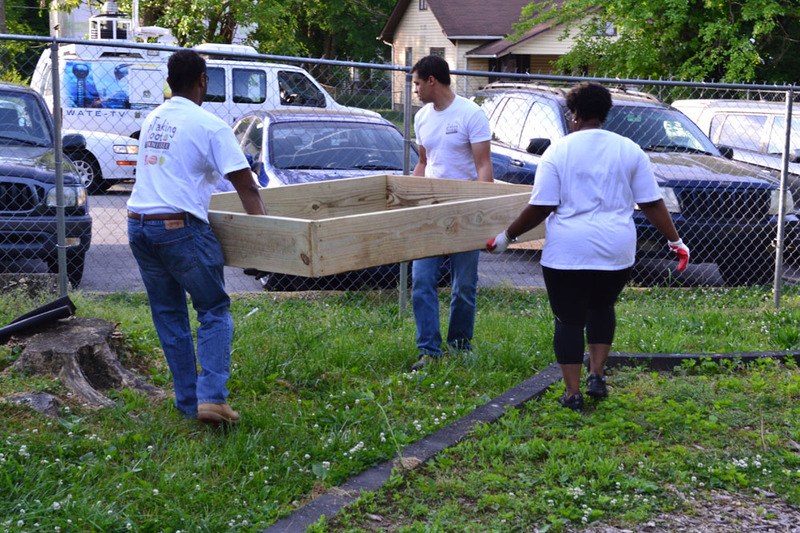 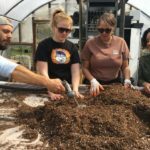 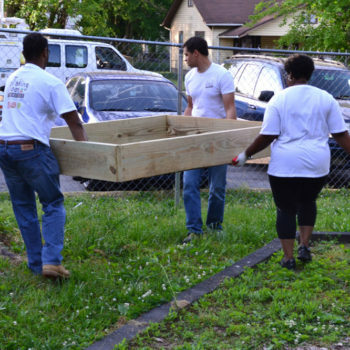 Our staff installs a raised garden bed, fills it with nutrient rich top soil then sows the seeds that will produce nutritious fruits and vegetables for years to come. 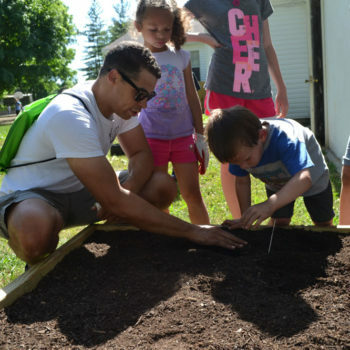 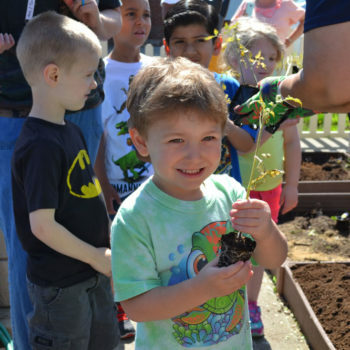 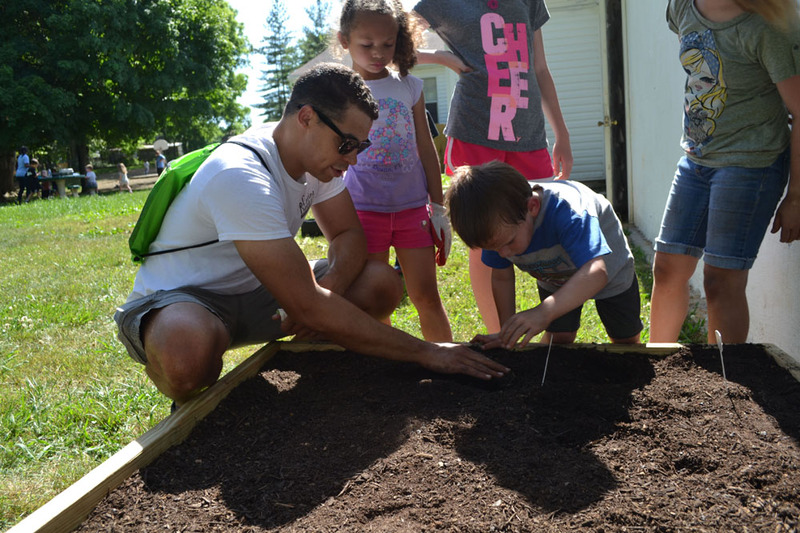 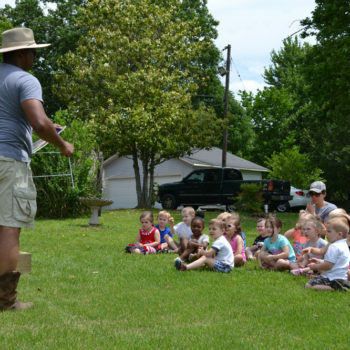 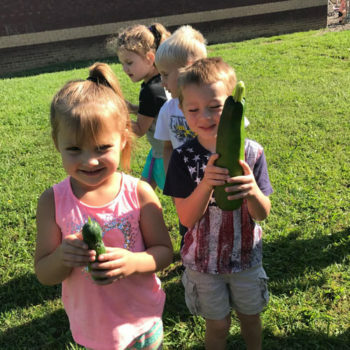 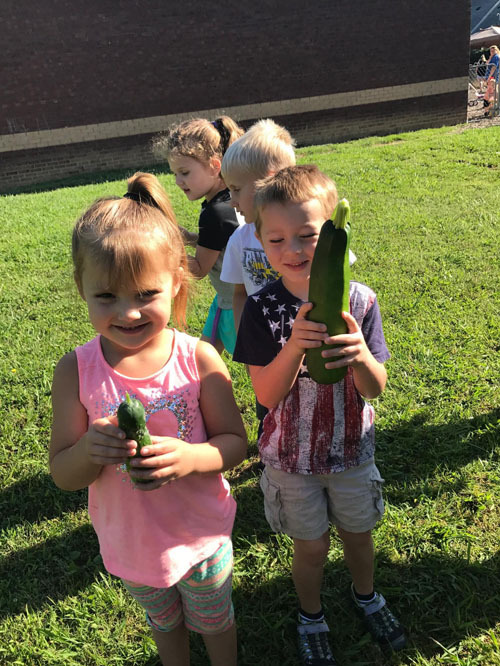 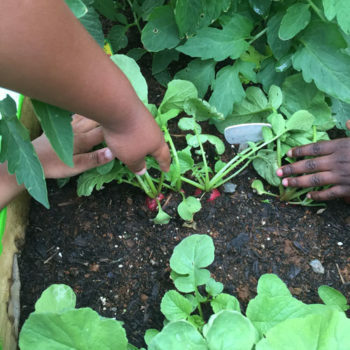 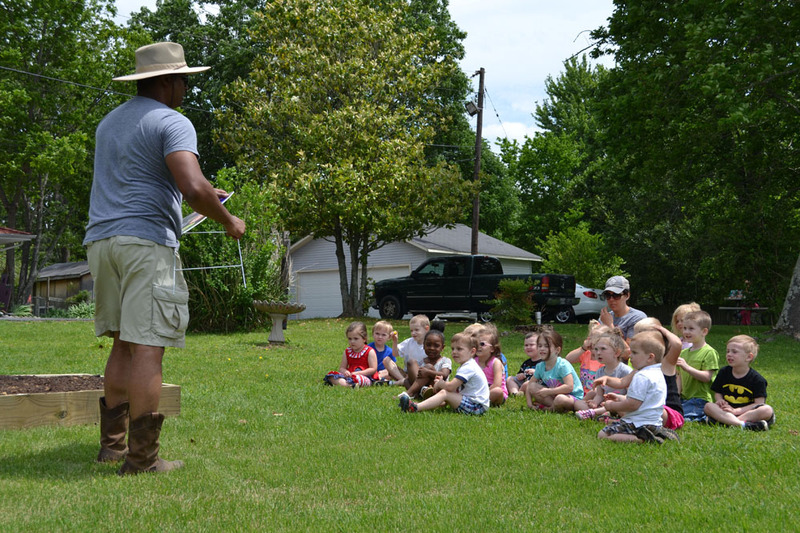 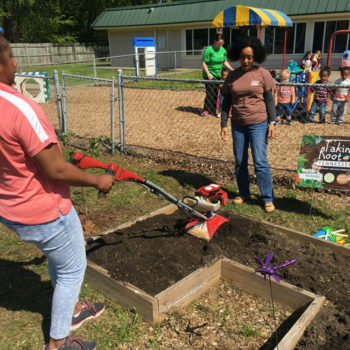 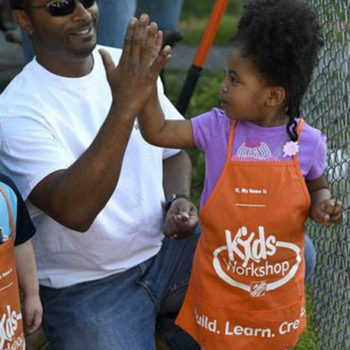 In addition, gardening tools and equipment are provided with a garden to fork themed preschool curriculum that helps reinforce the gardening concepts with young children. 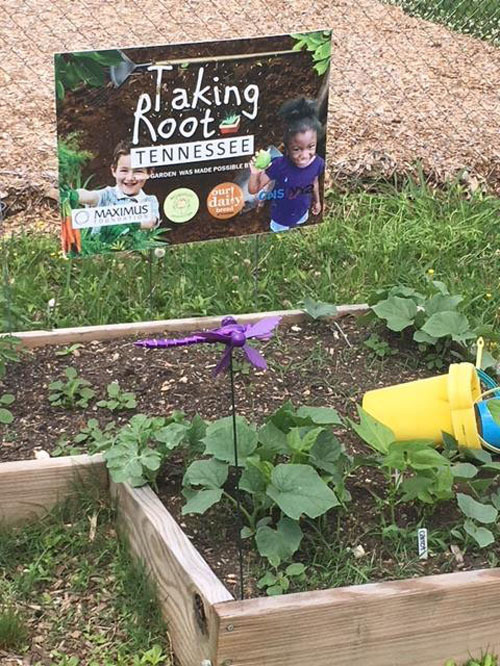 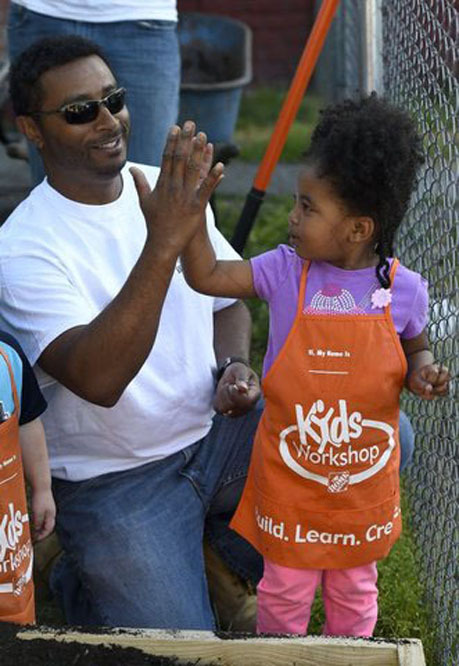 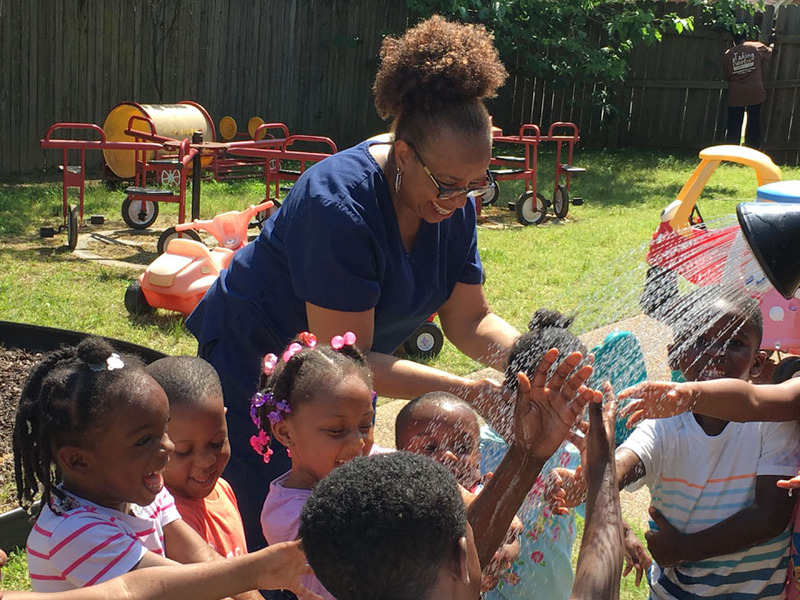 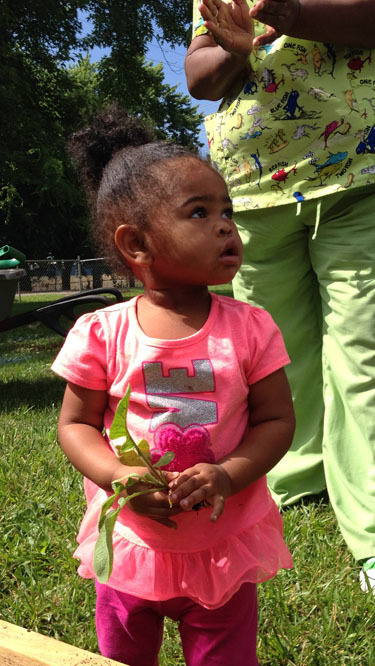 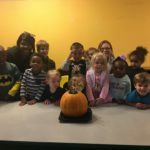 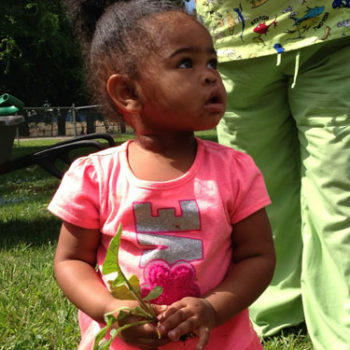 Taking Root Tennessee in currently partnered with over 35 area childcare homes and centers in the State of Tennessee. 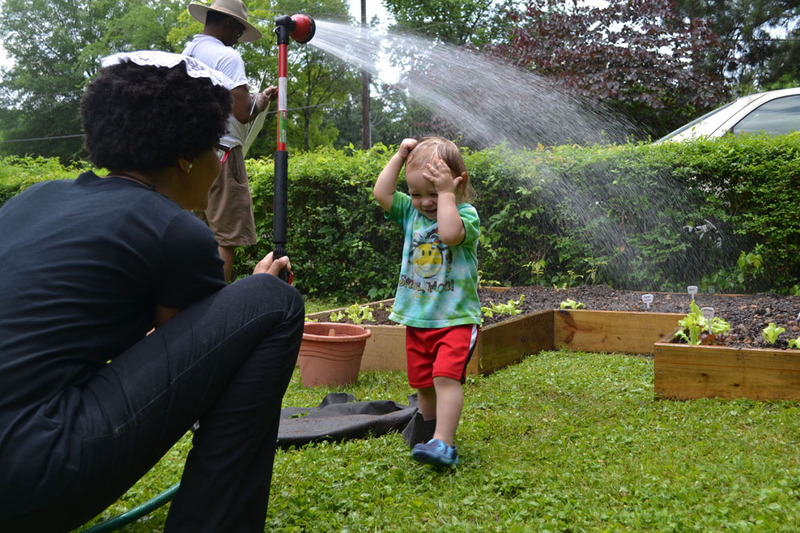 In order to be eligible for the program, participants must meet 5 eligibility requirements. 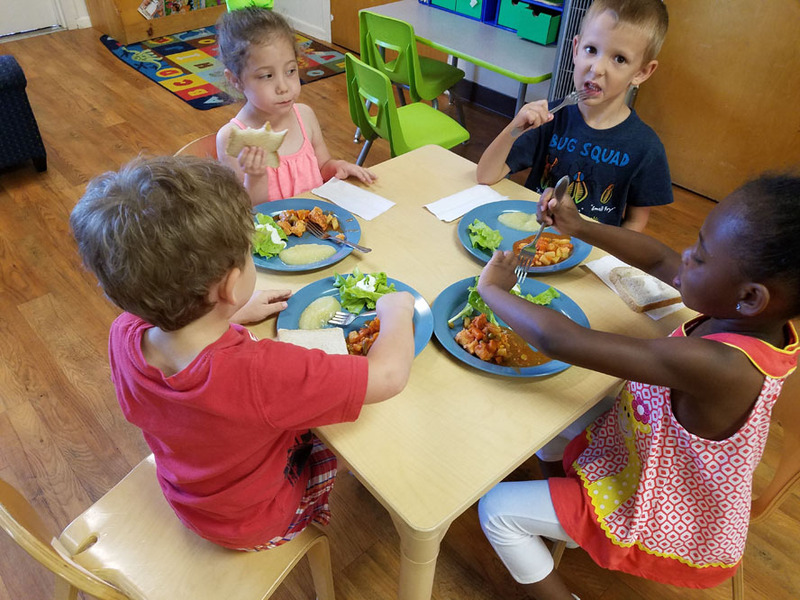 Child care sites must serve nutritious meals credible under the Child & Adult Care Food Program guidelines. 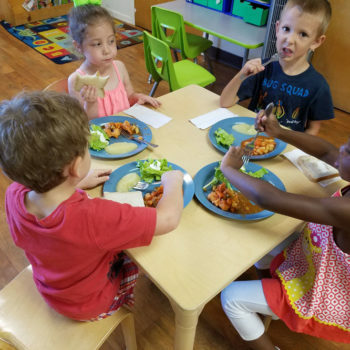 Have children living in your home who qualify for Free and Reduced Price School Meals under the National School Lunch Program. 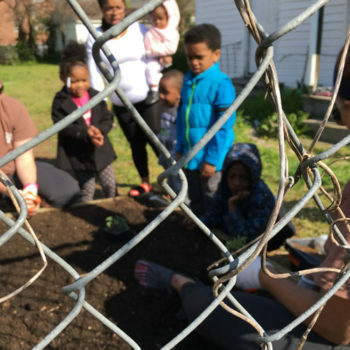 Believe in our cause? 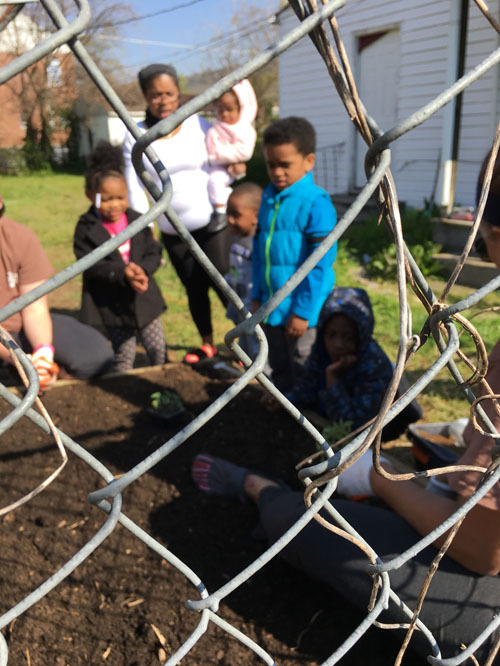 Donations are appreciated.